nLogic continues to be recognized in news and media releases. 13 April 2019 – nLogic Sponsors “Claws for a Cause” to Benefit Huntsville Hospital’s Neurological Intensive Care Unit. 13 April 2019 – nLogic Sponsored and Participated in the 2019 Heart & Stroke Walk to Raise Money for American Heart Association. 11-14 April 2019 – nLogic Sponsors Institute of Electrical and Electronics Engineers (IEEE) SoutheastCon 2019. 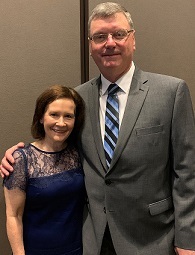 5 April 2019 – Chris Layne Recognized as Honoree by Project Management Institute (PMI) North Alabama Chapter (NAC) for 2018 Project Manager Excellence Award. 1 April 2019 – A Huntsville Company Getting Ready for the Big “Sense Off”. 26 March 2019 – Raytheon: New GaN-Powered Missile Pairs Well with Lower Tier Air & Missile Defense Sensor (LTAMDS). 15 March 2019 – nLogic is Featured Speaker at Regional Innovators Sustaining the Ecosystem (RISE). 11 March 2019 – nLogic Sponsors University of Alabama in Huntsville (UAH) Distinguished Lecture Series. 4 March 2019 – nLogic Recognized as 2018 Boeing Gold Level Supplier with Performance Excellence Award – Eleventh Straight Year for Award. 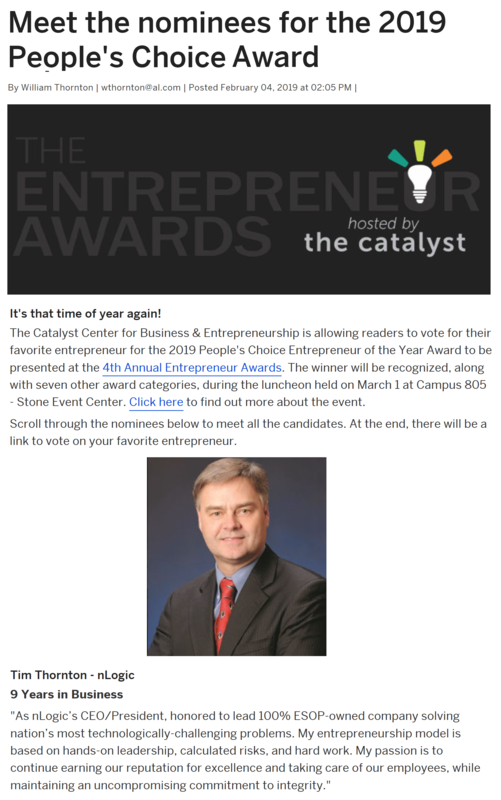 4 February 2019 – Meet the Nominees for the 2019 People’s Choice Award. 24 January 2019 – nLogic is Corporate Sponsor of GEO Huntsville. 25 December 2018 – nLogic Sponsors the Huntsville Botanical Garden Galaxy of Lights. 10 December 2018 – nLogic Selects Huntsville Assistance Program (HAP) for a Grant to Support Families in a Temporary Financial Crisis and at Risk of Becoming Homeless, as well as Being Hungry. 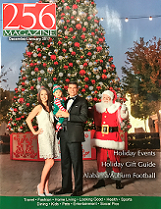 10 December 2018 – nLogic Employees and Their Families Celebrate the 2018 Holiday Party at Huntsville Botanical Garden. 9 November 2018 – nLogic Announced as Winner of North Alabama Torch Award for Ethics in Government Contractor Category. 9 November 2018 – nLogic Receives the Better Business Bureau Torch Award for Marketplace Ethics in the Government Contractor Category. 9 November 2018 – nLogic Serves as Silver Sponsor of Better Business Bureau (BBB) 21th Annual Marketplaces Ethics Torch Awards Ceremony. 15 October 2018 – nLogic Sponsors CFDRC Golf Tournament to Benefit Liz Hurley Breast Cancer Fund. 12 October 2018 – nLogic Sponsors The Salute Military Golf Association (SMGA) Wounded Warrior Golf Tournament. 8 October 2018 – 25 Local Companies Make Prestigious Inc. 5000 List. 28 September 2018 – nLogic Chief Executive Officer Appointed to the University of Alabama in Huntsville Research and Technology Corporation (RTC) Board. 8 September 2018 – nLogic Sponsors Wounded Warrior Amputee Softball Team (WWAST) Softball Tournament. 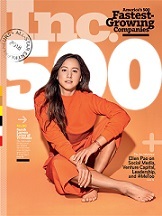 20 August 2018 – See Who Made the Inc. 5000 List of Fastest-Growing Private Companies. 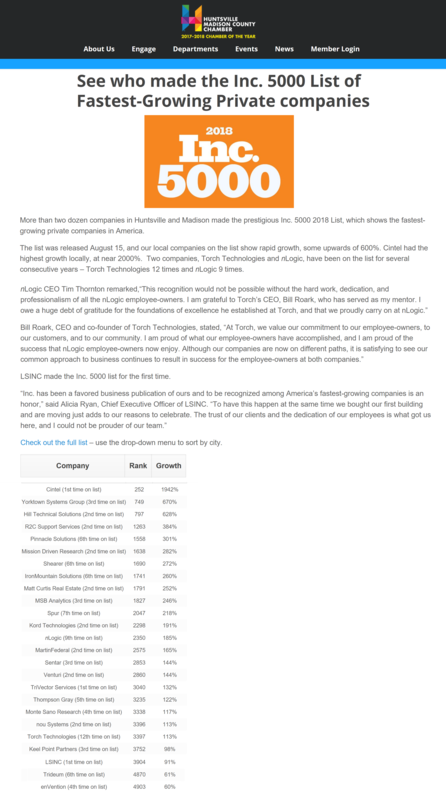 16 August 2018 – Torch Technologies, nLogic Again Ranked on Inc. 5000 List. 16 August 2018 – nLogic Ranked on Inc. 5000 List for 9th Consecutive Year. 15 August 2018 – Here are the Alabama Companies that made the 2018 Inc. 5000 List. 15 August 2018 – nLogic Recognized for 9th Amazing Year on Inc. Magazine’s 5000 Fastest-Growing Private Companies List. 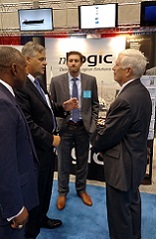 8 August 2018 – Congressman Mo Brooks Visits nLogic Booth at 2018 Space and Missile Defense Symposium. 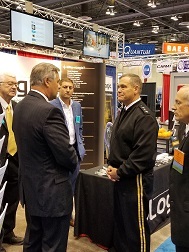 7 August 2018 – LTG James H. Dickinson Visits nLogic Booth at 2018 Space and Missile Defense Symposium. 3-4 August 2018 – nLogic Sponsors “Miracle Bash” and “Swim for Melissa” to Benefit Huntsville Hospital’s Melissa George Neonatal Memorial Fund. 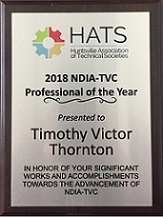 1 August 2018 – nLogic Recognized at Huntsville Association of Technical Societies (HATS) Professional of the Year Event. 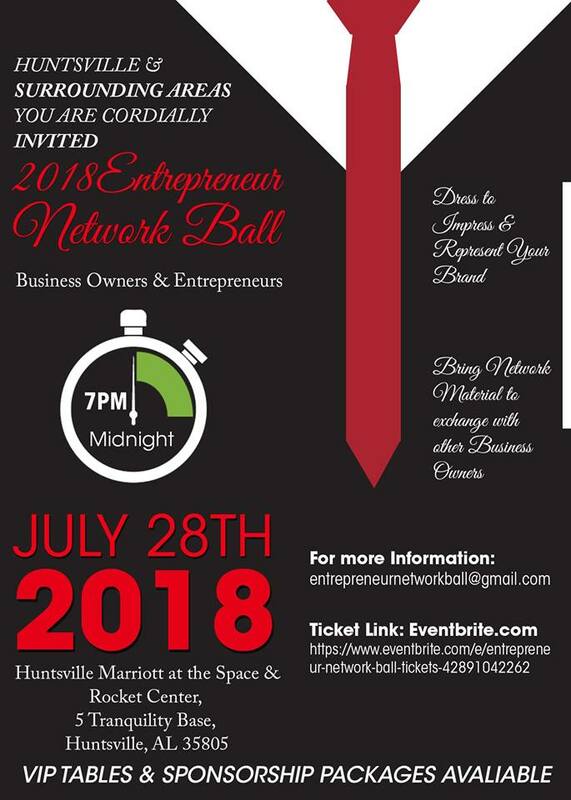 28 July 2018 – nLogic Receives Outstanding Entrepreneur Award at 2018 Entrepreneur Networking Ball for Dedication, Leadership, Perseverance and Excellence in Business. 29 June 2018 – nLogic Sponsors 6th Annual Fight to Kick Cancer Charity Golf Tournament to Benefit St. Jude Children’s Research Hospital. 21 June 2018 – nLogic Chief Executive Officer (CEO) Receives National Defense Industrial Association (NDIA) Tennessee Valley Chapter (TVC) Professional of the Year (PoY) Award. 12 June 2018 – nLogic Mentioned in Company Kudos. 9 June 2018 – nLogic nAbles 501(c)(3) Awards Grant to Health Establishments at Local Schools (HEALS) Providing Health Care to Children at School-Based Clinics. 9 June 2018 – nLogic Employees and Their Families Celebrate the 2018 Summer Party at Stars and Strikes. 6-7 June 2018 – nLogic Participates in 2018 National Cyber Summit. 2 June 2018 – nLogic Sponsors “Claws for a Cause” to Benefit Huntsville Hospital’s Neurological Intensive Care Unit. 20 May 2018 – nLogic is Boeing’s Top Supplier. 18 May 2018 – nLogic Sponsors 2018 Better Business Bureau (BBB) Integrity Golf Classic. 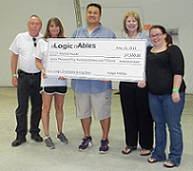 17 May 2018 – nLogic Sponsors Alliance for Opportunity and Development (AOD) Golf Scramble for Scholarships Fundraiser. 17 May 2018 – nLogic Awards Scholarship to Lee High School Student on Behalf of Character Foundation of North Alabama (CFNA). 4 May 2018 – Huntsville’s nLogic Named Boeing’s Supplier of the Year. 3 May 2018 – Boeing Recognizes nLogic as Outstanding Supplier of the Year. 2 May 2018 – Association of the United States Army (AUSA) Community Partner Receives “Supplier of the Year” Award. 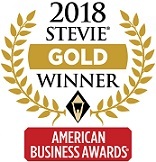 1 May 2018 – nLogic is Recognized as the Gold Winner of the Aerospace & Defense Company of the Year by American Business Awards. 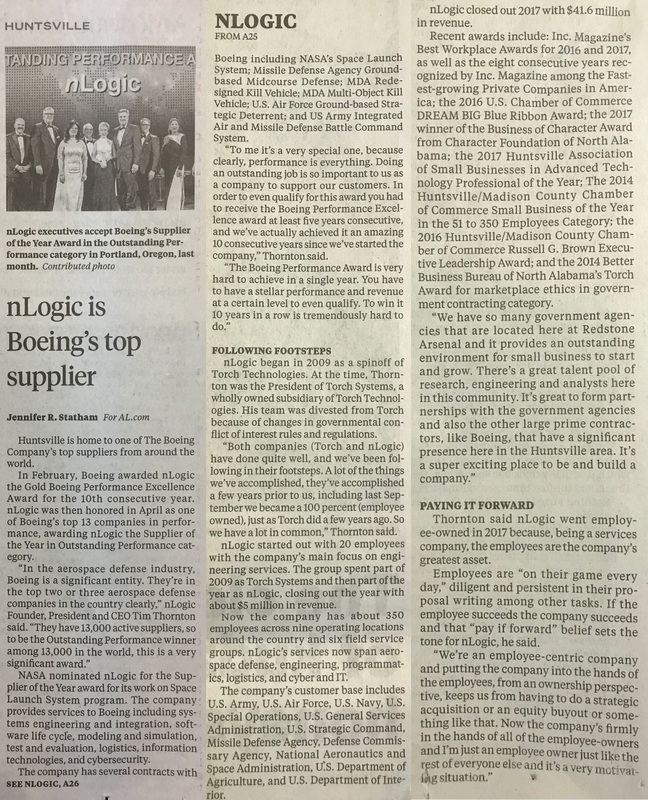 1 May 2018 – nLogic Chief Executive Officer is Recognized as the Gold Winner of the Aerospace & Defense Entrepreneur of the Year by American Business Awards. 1 May 2018 – nLogic Sponsors Second Mile Development Inc. Golf Challenge to Empower the Community Where the Hopeless Can Find Hope. 26 April 2018 – nLogic Participates in Lincoln Village Ministries “Beautiful Things” Brunch for Women. 20 April 2018 – nLogic Participates in A Night for Care Assurance System for the Aging and Homebound (CASA) of Madison County. 13 April 2018 – nLogic Featured on WHNT Channel 19 Defending America News Segment. 13 April 2018 – Defending America, A Growing Huntsville Company Achieves Success One Award At A Time. 12 April 2018 – nLogic Receives “Supplier of the Year” from Boeing. 12 April 2018 – Boeing Honors Suppliers for Outstanding Performance. 11 April 2018 – nLogic Recognized as Outstanding Performance Award Winner. 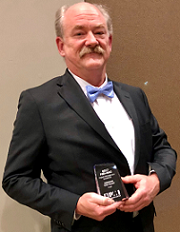 7 April 2018 – Doc Elliott Recognized as Honoree by Project Management Institute (PMI) North Alabama Chapter (NAC) for 2017 Project Manager Excellence Award. 21 March 2018 – nLogic Participates in Enlogica Solutions Ribbon Cutting Ceremony – Also Recognizing Enlogix Joint Venture. 15 March 2018 – nLogic Sponsors 305 8th Street 5th Annual Fundraiser Dinner. 9 March 2018 – Davidson Technologies and nLogic Form Joint Venture Called DTechLogic. 16 February 2018 – nLogic Invests in Huntsville/Madison County Chamber of Commerce Huntsville Regional Economic Growth Initiative (HREGI). 6 February 2018 – nLogic Recognized as 2017 Boeing Gold Level Supplier with Performance Excellence Award – Tenth Straight Year for Award. 31 January 2018 – nLogic Participates in University of Alabama in Huntsville (UAH) College of Engineering Dean’s Advisory Board. 24 January 2018 – nLogic Donates to Cooke Museum of Natural Science. 25 December 2017 – nLogic Sponsors the Huntsville Botanical Garden Galaxy of Lights. 11 December 2017 – nLogic nAbles 501(c)(3) Awards Grant to Semper Fi Community Task Force of North Alabama to Recognize Wounded and Injured Veterans for Their Service. 11 December 2017 – nLogic nAbles 501(c)(3) Awards Grant to Habitat for Humanity of Madison County to Renovate or Build Affordable Housing for Those in Need. 11 December 2017 – nLogic Employees and Their Families Celebrate the 2017 Holiday Party at Huntsville Botanical Garden. 4 December 2017 – National Aerospace Solutions (NAS) Honors Team Members at 2017 Salute to Excellence Annual Awards Banquet. 30 November 2017 – Lori Golden Honored at Arnold Engineering Development Complex (AEDC) Salute to Excellence Awards Banquet with Technical Project Leader of the Year Award. 16 November 2017 – nLogic Participates in Ability Plus Annual Celebration. 9 November 2017 – nLogic Serves as Silver Sponsor of Better Business Bureau (BBB) 20th Annual Marketplaces Ethics Torch Awards Ceremony. 27 October 2017 – nLogic Sponsors 11th Annual Ground-based Midcourse Defense (GMD) One Team Golf Outing at Canebrake Club. 26 October 2017 – nLogic Serves as Bronze Sponsor for the 29th Annual Dr. Wernher von Braun Memorial Dinner as Hosted by National Space Club. 23 October 2017 – The List is Out! – 2017 Inc 5000. 21 October 2017 – nLogic Serves as Bronze Sponsor for the 14th Annual Liz Hurley Ribbon Run to Support Huntsville Hospital Liz Hurley Breast Cancer Fund. 9-11 October 2017 – nLogic Attends Association of the United States Army (AUSA) 2017 Annual Meeting and Exposition. 22 September 2017 – nLogic Chief Executive Officer Graduates as a Birthing of Giants Fellow as Powered by the Business Owners Council. 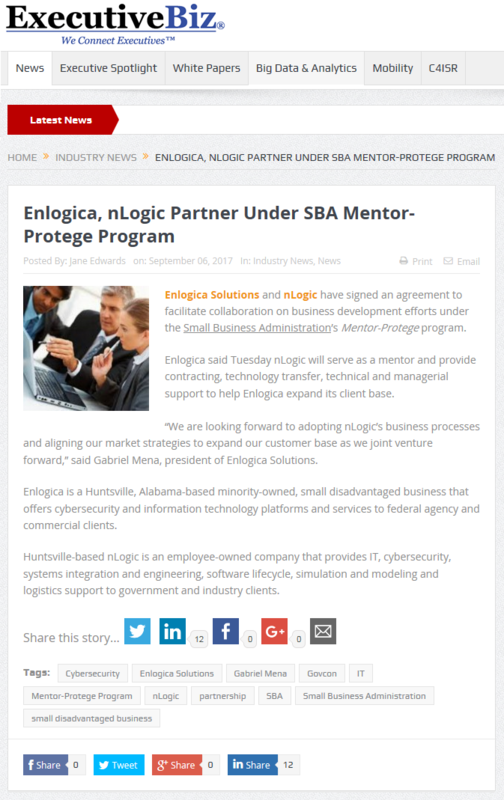 6 September 2017 – Enlogica, nLogic Partner under Small Business Administration (SBA) All Small Mentor-Protégé Program (ASMPP). 22 August 2017 – Eclipse This! 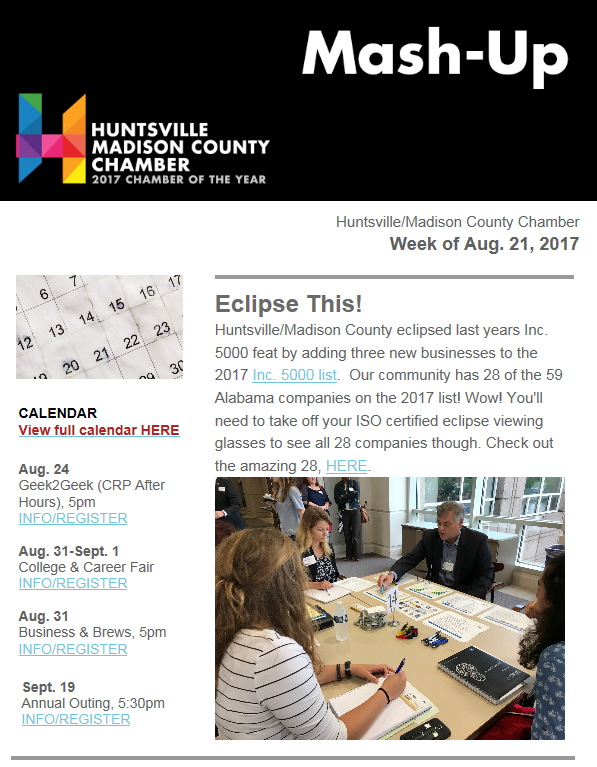 – Huntsville/Madison County Eclipsed Last Year’s Inc. 5000 Feat by Adding Three New Businesses to the 2017 Inc. 5000 List. 16 August 2017 – Here are the 32 Fastest-Growing Tennessee Valley Companies. 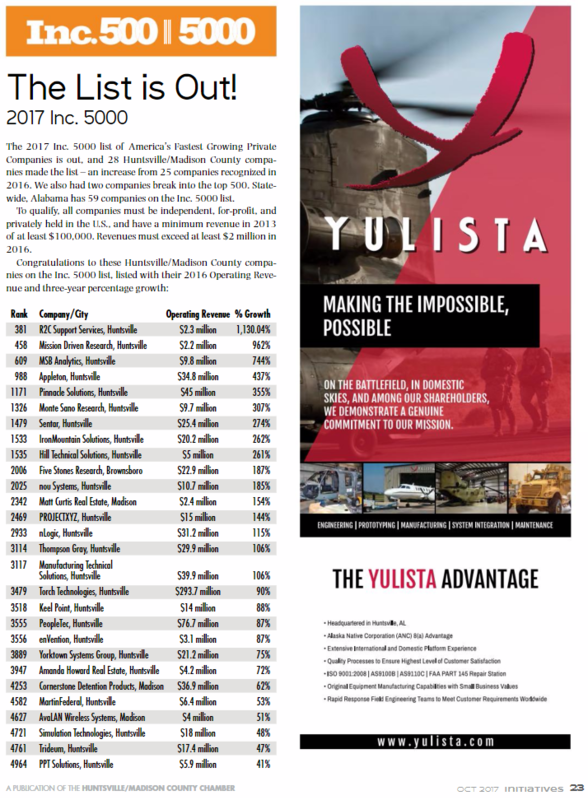 16 August 2017 – 59 Alabama Companies Make Inc. 5000 List – See Full National Ranking. 16 August 2017 – nLogic Recognized for 8th Year on Inc. Magazine’s 5000 Fastest-Growing Private Companies List. 15 August 2017 – nLogic Chief Executive Officer’s Video from the Huntsville/Madison County Chamber of Commerce Small Business Awards. 15 August 2017 – nLogic Serves as Silver Sponsor for the Huntsville/Madison County Chamber of Commerce Small Business of the Year Awards Celebration. 14 August 2017 – nLogic (Mentor) and Enlogica Solutions (Protégé) are Approved by the Small Business Administration (SBA) for the All Small Mentor-Protégé Program (ASMPP). 11 August 2017 – nLogic Sponsors 15th Annual CARE Center Golf Tournament. 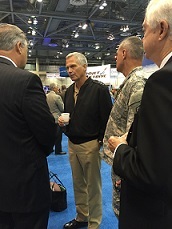 9 August 2017 – LTG James H. Dickinson Visits nLogic Booth at 2017 Space and Missile Defense Symposium. 9 August 2017 – Congressman Mo Brooks Visits nLogic Booth at 2017 Space and Missile Defense Symposium. 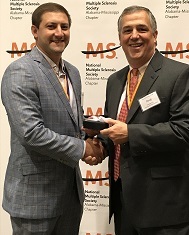 28 July 2017 – nLogic Sponsors the Huntsville Multiple Sclerosis Society Leadership Class of 2017. 23-28 July 2017 – nLogic Serves as Progress Sponsor for US Cyber Camp Pilot Held at the US Space and Rocket Center. 21-22 June 2017 – nLogic Serves as Silver Sponsor for the Missile Defense Agency 2017 Small Business Programs Conference as Hosted by National Defense Industrial Association Tennessee Valley Chapter (NDIA-TVC). 16 June 2017 – nLogic Becomes Member of National Center for Employee Ownership (NCEO). 14 June 2017 – nLogic Serves as Silver Sponsor for the Huntsville Association of Technical Societies (HATS) Professional of the Year and Moquin Award Dinner. 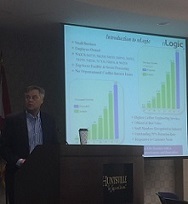 9 June 2017 – nLogic Speaks at Huntsville Open Tech (HOT) Coffee to Empower Entrepreneurs to Unite. 6-8 June 2017 – nLogic Serves as Bronze Sponsor for the 2017 National Cyber Summit (NCS). 5 June 2017 – nLogic Chief Executive Officer Recognized as Huntsville Association of Small Businesses in Advanced Technology (HASBAT) Professional of the Year. 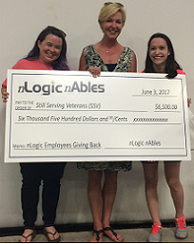 3 June 2017 – nLogic nAbles 501(c)(3) Awards Grant to Still Serving Veterans to Empower Veterans and their Families. 3 June 2017 – nLogic nAbles 501(c)(3) Awards Grant to Second Mile to Empower the Community Where the Hopeless Can Find Hope. 3 June 2017 – nLogic Employees and Their Families Celebrate the 2017 Picnic at the U.S. Space and Rocket Center. 29 May 2017 – nLogic Receives Best Workplace Award from Inc. Magazine for 2nd Year in Row. 22-24 May 2017 – nLogic Participates in the Montgomery Information Technology Summit. 21 May 2017 – nLogic Contributes to Davidson Farms “A Home for Girls” as Sponsored by Kids to Love. 19 May 2017 – nLogic Contributes to Care Assurance System for the Aging (CASA) of Madison County Event “A Night for CASA”. 19 May 2017 – nLogic Serves as Hole-in-One Sponsor for the Better Business Bureau (BBB) 2017 Integrity Golf Classic. 1-2 May 2017 – nLogic Participated in Huntsville/Madison County Chamber of Commerce Washington Trip to Promote Federal Agenda. 26-28 April 2017 – nLogic Participated in Army Aviation Association of America (AAAA) Mission Solutions Summit. 21 April 2017 – nLogic Sponsors Second Mile Development Inc. Golf Challenge to Empower the Community Where the Hopeless Can Find Hope. 8 April 2017 – Ron Lamm Recognized as Honoree by Project Management Institute (PMI) North Alabama Chapter (NAC) for 2016 Project Manager Excellence Award. 21 March 2017 – nLogic is a Finalist for the Huntsville/Madison County Chamber of Commerce 2017 Best Places to Work Annual Celebration. 9 March 2017 – nLogic Sponsors Riley Behavioral & Education Center Hope for Autism Gala & Silent Auction. 4 March 2017 – nLogic Wins the Business of Character Award from the Character Foundation of North Alabama (CFNA). 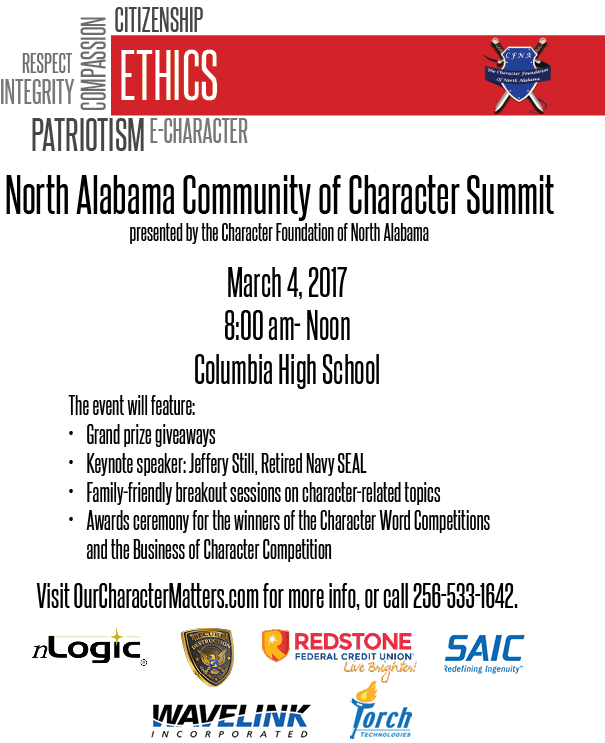 4 March 2017 – nLogic Serves as a Scholarship Sponsor at the Character Foundation of North Alabama (CFNA) North Alabama Community of Character Summit (NACCS). 3 March 2017 – nLogic Teaches Class at Columbia High School Students in Support of Teach-for-America Program – “You Can be a Rocket Scientist Too”. 3 March 2017 – nLogic Chief Executive Officer is a Finalist for Women Business Center of North Alabama (WBCNA) Entrepreneur of the Year Award. 25 February 2017 – nLogic Serves as Cabernet Sponsor of the Russell Hill Cancer Foundation 8th Annual White Linen & Wine Event. 13 February 2017 – nLogic Chief Executive Officer Serves on Cyber Huntsville Advisory Council. 7 February 2017 – nLogic Recognized as 2016 Boeing Gold Level Supplier with Performance Excellence Award – Ninth Straight Year for Award. 19 January 2017 – nLogic Provides Grant to Teach For America (TFA) to Fund Individuals to Become Teachers in Low-income Communities. 13 January 2017 – nLogic Successfully Transitions from ISO 9001:2008 to ISO 9001:2015 Certification. 25 December 2016 – nLogic Sponsors the Huntsville Botanical Garden Galaxy of Lights. 15 December 2016 – Huntsville Association of Small Businesses in Advanced Technology (HASBAT) Featured in Space and Military Defense Article. 8 December 2016 – nLogic Selects Huntsville Assistance Program (HAP) for a Grant to Support Families in a Temporary Financial Crisis and at Risk of Becoming Homeless, as well as Being Hungry. 8 December 2016 – nLogic Employees and Their Families Celebrate the 2016 Holiday Party at Westin Hotel. 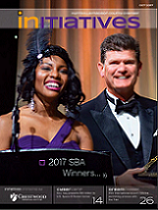 5 December 2016 – Question and Answer with Tim Thornton – 2016 Winner of the Russell G. Brown Executive Leadership Award. 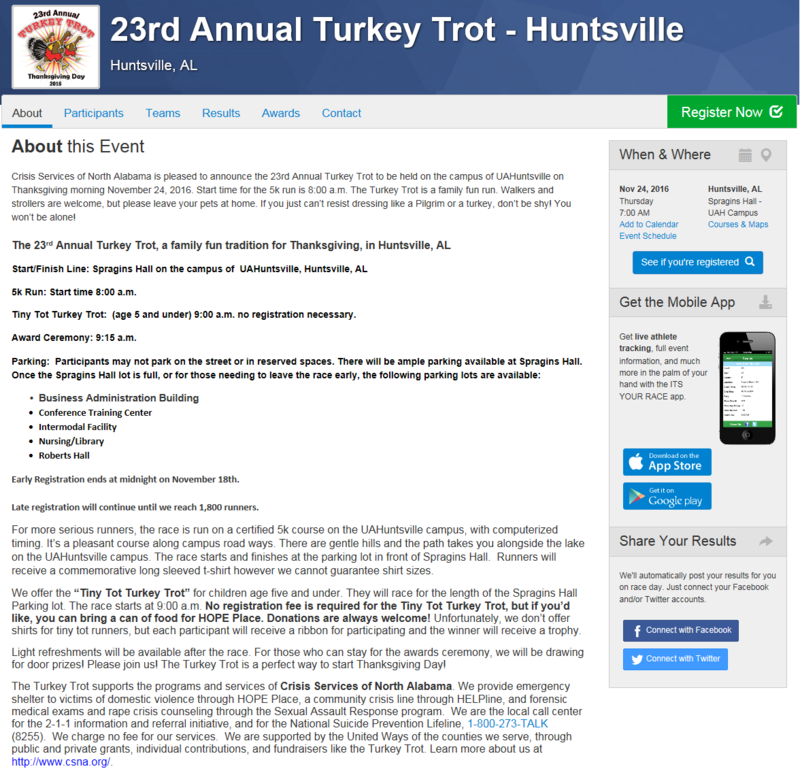 24 November 2016 – nLogic Participates in the 23rd Annual Turkey Trot to Benefit the Crisis Services of North Alabama. 11 November 2016 – Mac McDaniel Receives Project Management Institute (PMI) Central Virginia Chapter’s First Annual Program Manager Excellence Award. 10 November 2016 – nLogic Serves as Gold Sponsor of Huntsville/Madison County Chamber of Commerce Geek-2-Geek Event. 10 November 2016 – nLogic Serves as Gold Sponsor of Better Business Bureau (BBB) 19th Annual Marketplaces Ethics Torch Awards Ceremony. 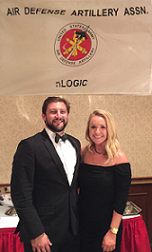 29 October 2016 – nLogic Participates in the Air Defense Artillery Association (ADAA) and Field Artillery Association (FA) Annual Dinner Honoring Order of Saint Barbara Award Winners. 28 October 2016 – nLogic Participates in the Air Defense Artillery Association (ADAA) 9th Annual Organizational Challenge Golf Tournament. 27 October 2016 – nLogic Serves as Bronze Sponsor for the 28th Annual Dr. Wernher von Braun Memorial Dinner as Hosted by National Space Club. 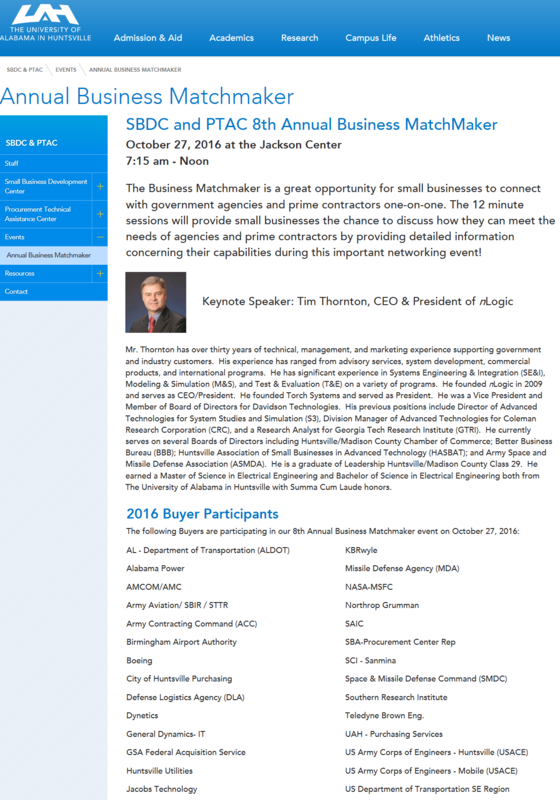 27 October 2016 – nLogic Speaks at University of Alabama in Huntsville (UAH) Procurement Technical Assistance Center (PTAC) Business Matchmaker Event. 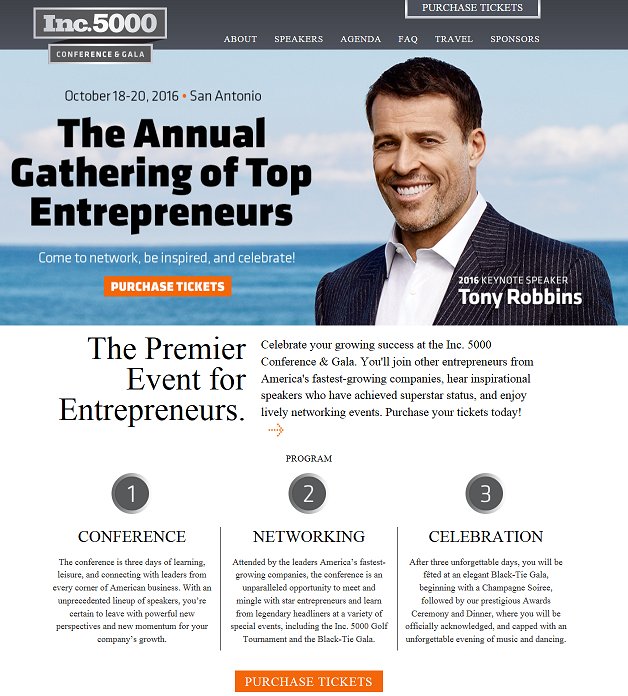 20 October 2016 – nLogic on Stage at Inc. 5000 Conference as Company Recognized. 20 October 2016 – nLogic Celebrates at Black Tie Gala for the 7th Year on Inc. Magazine’s Fastest Growing Companies in America. 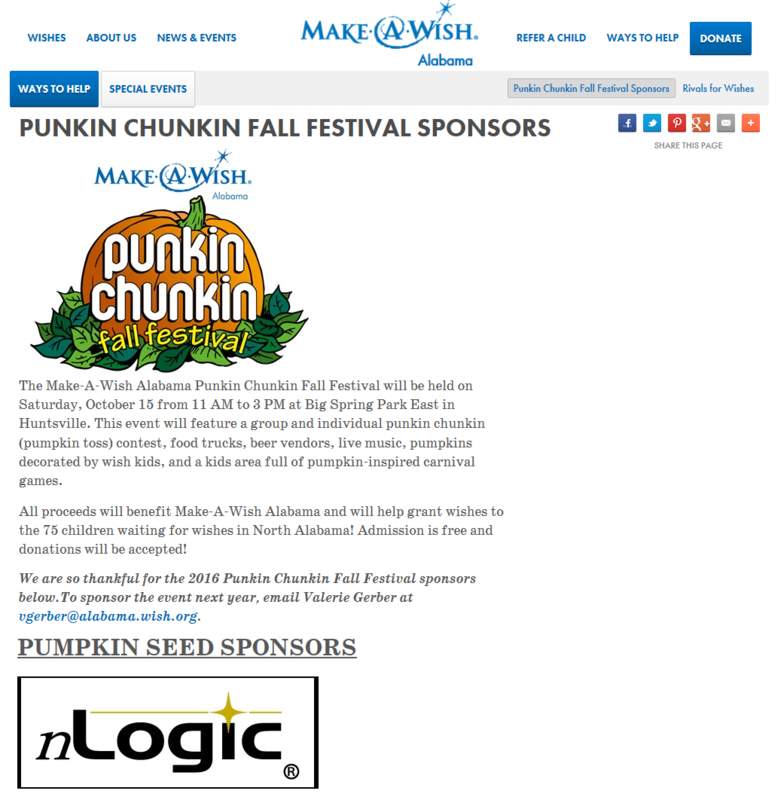 15 October 2016 – nLogic Serves as Pumpkin Seed Sponsor for the Make-A-Wish Alabama “Punkin Chunkin” Fall Festival. 14 October 2016 – nLogic Sponsors Tenth Annual Ground-based Midcourse Defense (GMD) One Team Golf Outing at Canebrake Club. 14 October 2016 – nLogic Sponsors the Salute Military Golf Association (SMGA) Tenth Annual Wounded Warrior Golf Tournament. 12 October 2016 – And the Winner is … Celebrating 31 Years of Small Business Awards. 12 October 2016 – Big Time … Celebrating Inc. 5000 Ranking. 9 October 2016 – nLogic Serves as Impact Sponsor for the Friends of Ability Plus Charity Banquet. 5 October 2016 – nLogic Recognized by U.S. Army Materiel Command (AMC) Office of Small Business Programs (OSBP) at the Association of the United States Army (AUSA) Small Business Seminar. 3-5 October 2016 – nLogic Participates in the Association of the United States Army (AUSA) Annual Meeting and Exposition. 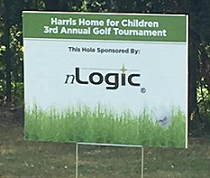 26 September 2016 – nLogic Sponsors Harris Home for Children 3rd Annual Golf Tournament. 25 September 2016 – nLogic Contributes Donation to the Big Brothers Big Sisters Bowl for Kid’s Sake Event. 15 September 2016 – nLogic Sponsors the Women’s Economic Development Council Foundation (WEDC) Fifteenth Annual Women Honoring Women Celebration Event. 7 September 2016 – Madison Companies Earn Huntsville Chamber Awards. 31 August 2016 – 2016 Small Business Award Celebration – Huntsville Association of Small Businesses in Advanced Technology (HASBAT) Highlights. 31 August 2016 – Small Business Award Winners Named. 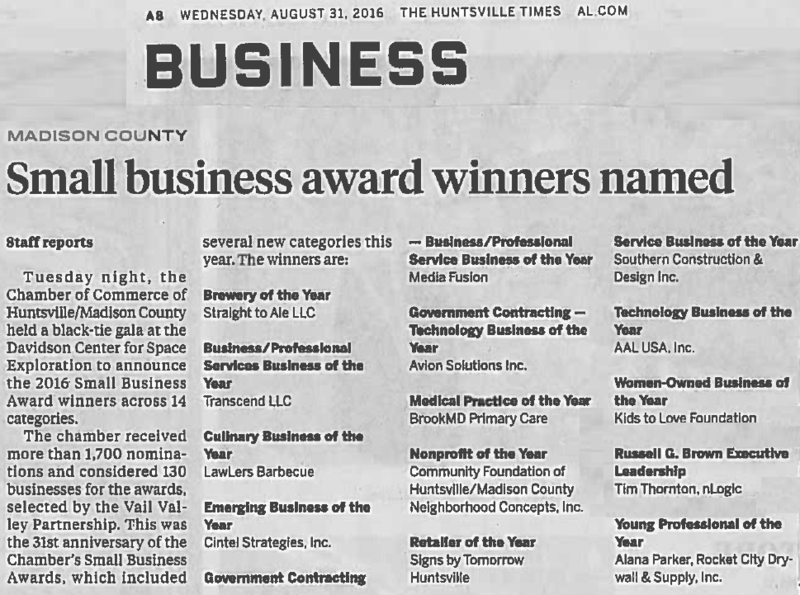 30 August 2016 – Who were Huntsville/Madison County’s 2016 Small Business Awards Winners? 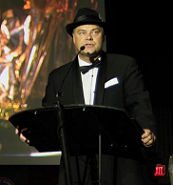 30 August 2016 – nLogic Chief Executive Officer Acceptance Speech for Russell G. Brown Executive Leadership Award at the 2016 Small Business Awards. 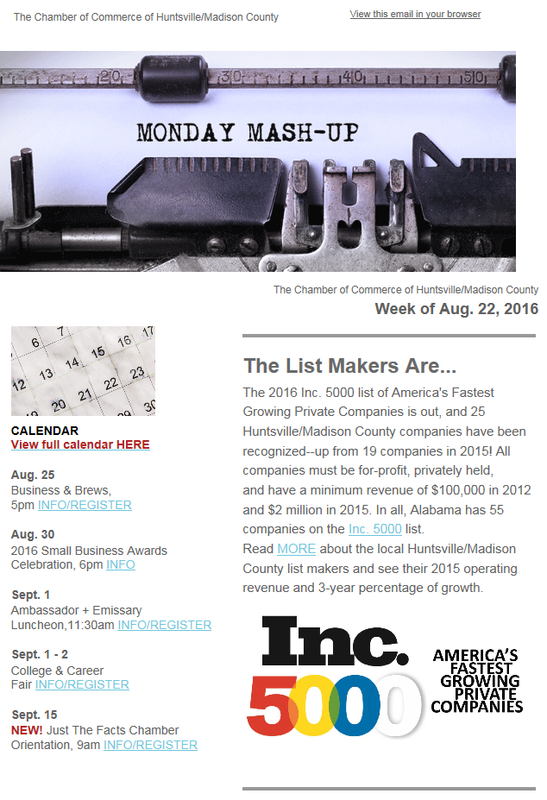 22 August 2016 – The List Makers Are… Huntsville/Madison County Chamber of Commerce Monday Mash-Up. 19 August 2016 – nLogic Recognized for 7th Year on Inc. Magazine’s 5000 Fastest-Growing Private Companies List. 19 August 2016 – 27 Local Companies Make the Inc. 5000 List. 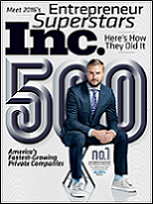 17 August 2016 – Inc. Magazine Unveils 35th Annual List of America’s Fastest-Growing Private Companies–the Inc. 5000. 17 August 2016 – LTG David Mann Visits nLogic Booth at 2016 Space and Missile Defense Symposium. 17 August 2016 – 55 Alabama Companies Make Inc. 5000 List; See Full National Ranking. 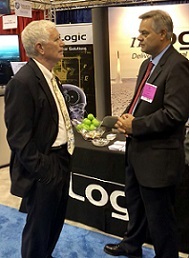 16 August 2016 – Congressman Mo Brooks Visits nLogic Booth at 2016 Space and Missile Defense Symposium. 13 August 2016 – nLogic Serves as Sponsor for 2nd Annual Black Tie Charity Ball. 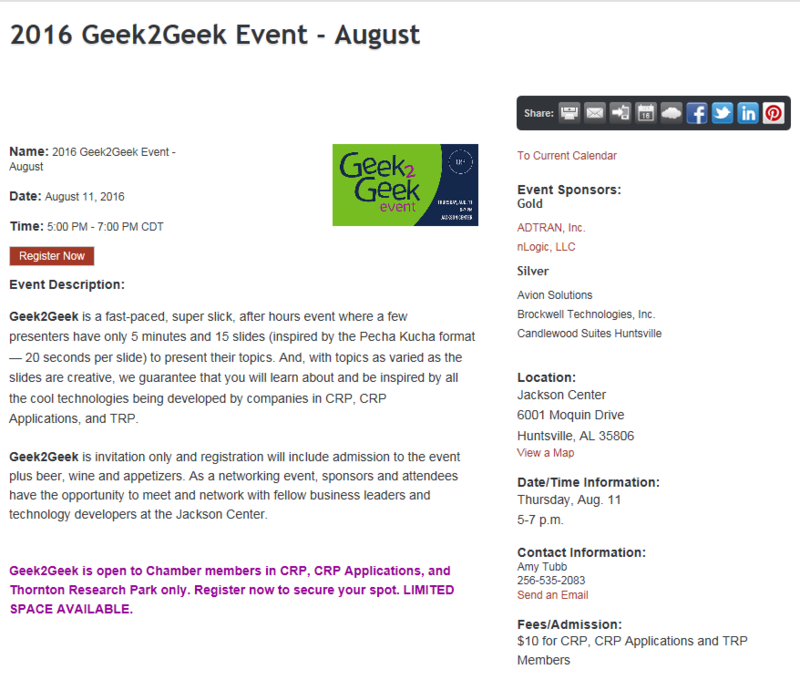 11 August 2016 – nLogic Serves as Gold Sponsor for Huntsville/Madison County Chamber of Commerce Geek2Geek Event. 4 August 2016 – nLogic Serves as Gold Sponsor for 2016 Tech Summit Entitled “Accelerating Technology” Reception as Hosted by TechRich. 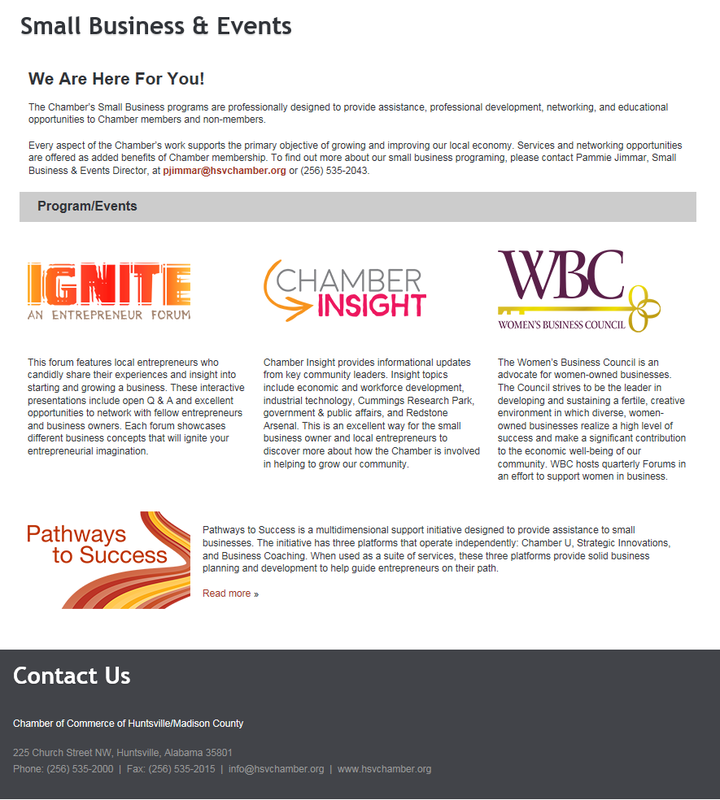 28 July 2016 – nLogic Chief Executive Officer Speaks at Ignite Entrepreneur Forum Sponsored by the Huntsville/Madison County Chamber of Commerce. 21 July 2016 – nLogic Chief Executive Officer Nominated for Russell G. Brown Executive Leadership Award. 16 July 2016 – nLogic nAbles 501(c)(3) Selects New Hope Children’s Clinic for a Grant to Provide Medical Care for Children in Madison County and Surrounding Communities. 16 July 2016 – nLogic Employees and Their Families Celebrate the 2016 Summer Picnic at the Huntsville Botanical Garden. 15 July 2016 – nLogic Featured on WHNT Channel 19 Television News. 15 July 2016 – Defending America, Let nLogic Count the Ways. 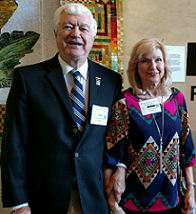 24 June 2016 – nLogic Participates in 11th Anniversary Luncheon Honoring Korean War Veterans. 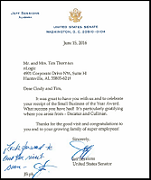 15 June 2016 – nLogic Recognized by Senator Jeff Sessions for US Chamber of Commerce Small Business of the Year Blue Ribbon Award. 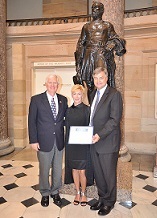 14 June 2016 – nLogic Recognized by Congressman Mo Brooks for US Chamber of Commerce Small Business of the Year DREAM BIG Award. 14 June 2016 – Happy Place: Inc. Magazine Names nLogic as One of Their Best Workplaces. 14 June 2016 – nLogic Receives US Chamber of Commerce Small Business of the Year Blue Ribbon Award in Washington DC. 13-15 June 2016 – nLogic Attends America’s Small Business Summit Hosted by the US Chamber of Commerce. 12 June 2016 – nLogic Participates in Tough Mudder Event in Virginia for Team Building and Fitness. 10 June 2016 – nLogic Sponsors Better Business Bureau (BBB) Integrity Golf Classic at Burningtree Country Club. 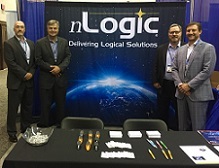 8-9 June 2016 – nLogic is Silver Sponsor for the National Defense Industrial Association – Tennessee Valley Chapter (NDIA-TVC) Annual Missile Defense Agency (MDA) Small Business Programs Conference. 7-9 June 2016 – nLogic is Bronze Sponsor for the 2016 National Cyber Summit. 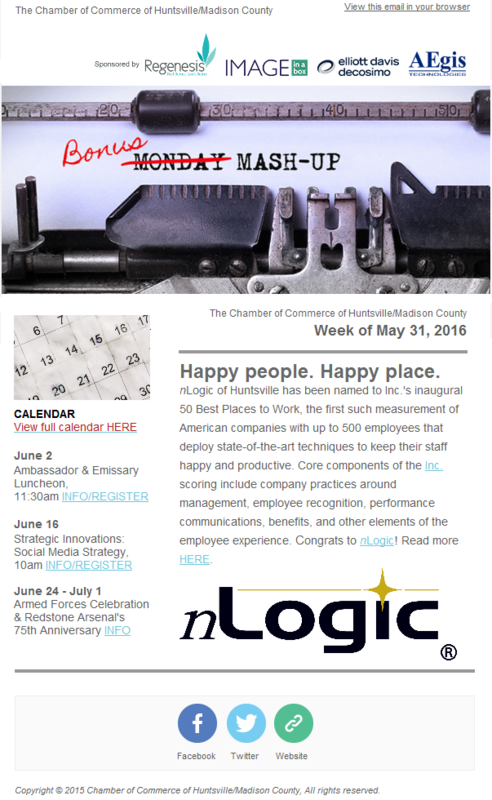 2 June 2016 – nLogic Listed to Inc.’s Inaugural 50 Best Workplaces. 2 June 2016 – WAAY Channel 31: nLogic is the Only Alabama Company to Make Inc. Magazine’s 50 Best Places to Work. 2 June 2016 – Inc. Magazine “How the Best Places Measure Up”. 1 June 2016 – Teledyne Brown Engineering’s (TBE’s) Objective Simulation Framework (OSF) Selected as Missile Defense Agency’s (MDA’s) Framework of Record. 1 June 2016 – Inc. Magazine Names nLogic One of ‘The 50 Best Places to Work’. 31 May 2016 – Happy People. Happy Place. Huntsville/Madison County Chamber of Commerce Monday Mash-Up. 25 May 2016 – Inc. Magazine Names the 50 Best Places to Work in 2016. 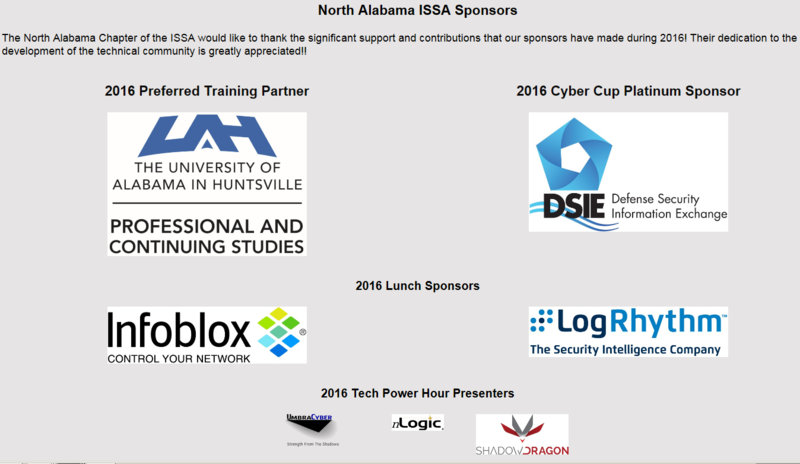 13 May 2016 – nLogic Recognized as North Alabama Information Systems Security Association (ISSA) Sponsor of 2016 Tech Power Hour Presenters. 4 May 2016 – nLogic Chief Executive Officer Graduates as a Member of Huntsville Leadership Flagship Class 29. 3 May 2016 – nLogic Sponsors Second Mile Development Inc. Golf Challenge to Empower the Community Where the Hopeless Can Find Hope. 30 April 2016 – nLogic Supported the Juvenile Diabetes Research Foundation (JRDF) One Walk to Raise Money for Type 1 Diabetes. 21 April 2016 – nLogic Chief Executive Officer Nominated for Entrepreneur of the Year at Innovate Huntsville Entrepreneurial Summit. 14 April 2016 – nLogic Sponsored the 9th Annual Hope for Autism Gala and Silent Auction to Raise Money for Autism. 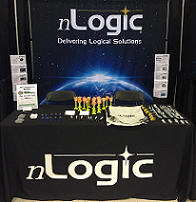 7 April 2016 – nLogic Serves as Gold Sponsor for Huntsville/Madison County Chamber of Commerce Geek2Geek Event. 2 April 2016 – nLogic Participated in the Heart Walk to Raise Money for American Heart Association. 1 April 2016 – Dreaming BIG – Local Small Businesses Receive Special Honors. 31 March 2016 – nLogic is a Top Contender at the Huntsville/Madison County Chamber of Commerce 2016 Best Places to Work Annual Celebration. 16 March 2016 – First Annual Seeds of Service Youth Volunteer Fair a Success. 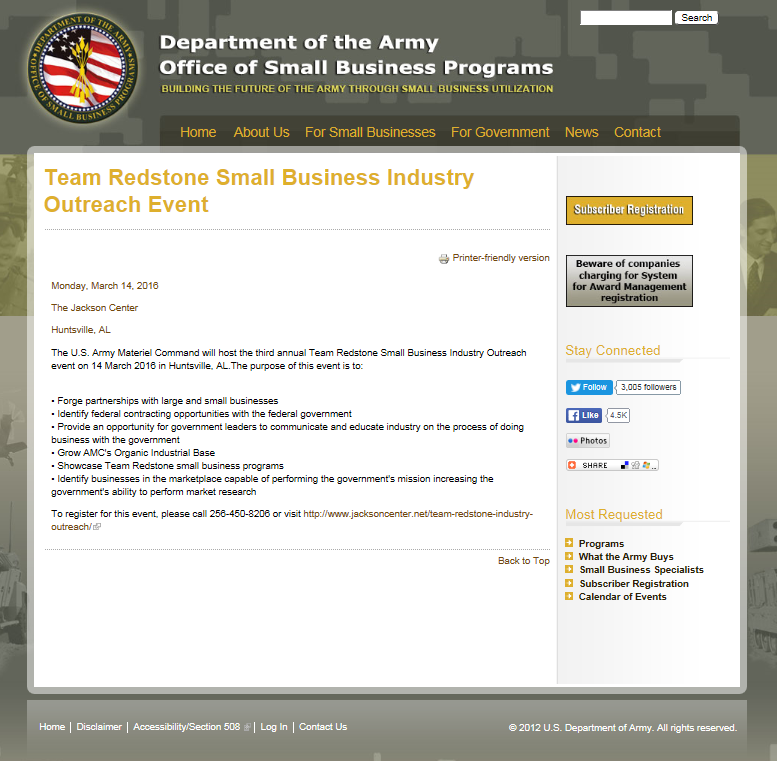 14 March 2016 – nLogic Chief Executive Officer Serves as Panel Moderator for U.S. Army Materiel Command (AMC) Small Business Industry Outreach Event. 12 March 2016 – Joe Salls Recognized as a Finalist for the Project Management Institute North Alabama Chapter (PMI-NAC) 2015 Project Management Excellence Award. 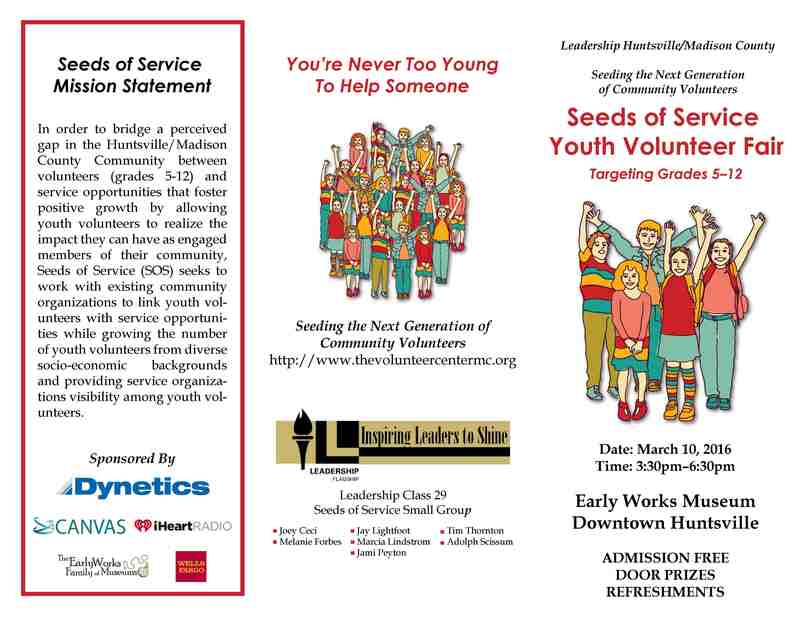 10 March 2016 – nLogic Participates in Leadership Huntsville Class of 29 Seeds of Service Youth Volunteer Fair. 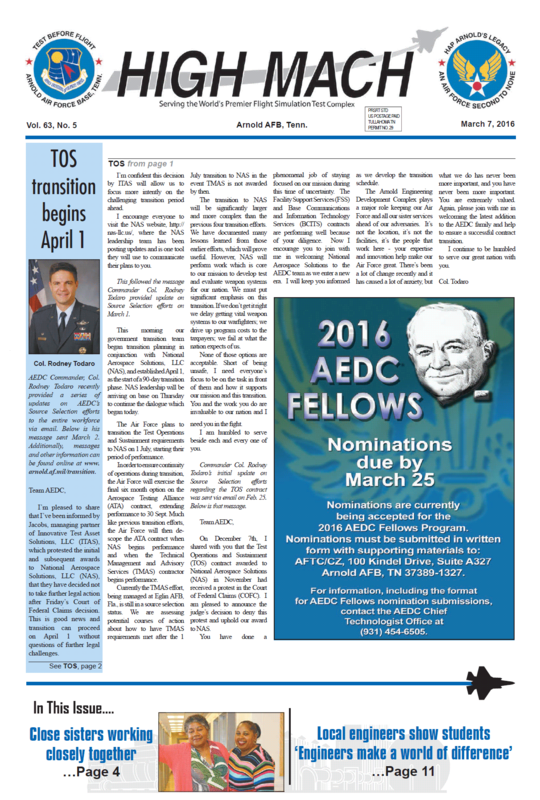 7 March 2016 – Test Operations and Sustainment (TOS) Contract Transition Starts 1 April. 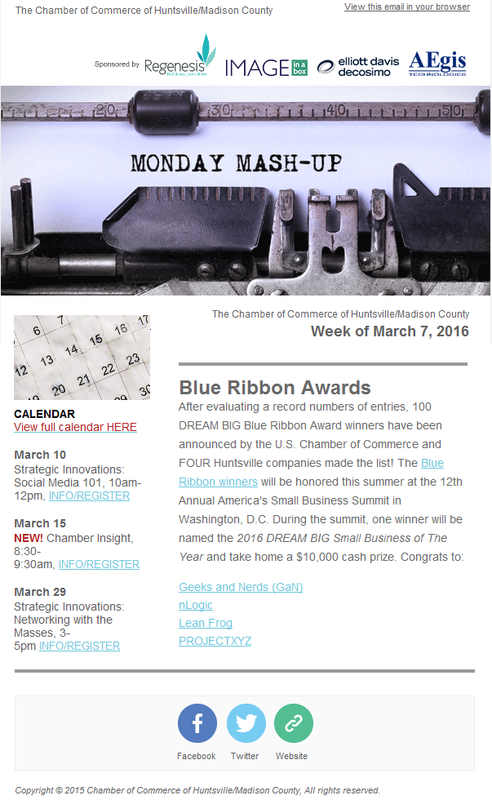 7 March 2016 – nLogic Mentioned in Huntsville/Madison County Chamber of Commerce Monday Mash-Up for Blue Ribbon Award. 3 March 2016 – nLogic Becomes Member of Coalition for Deep Space Exploration. 2 March 2016 – Air Force Directs National Aerospace Solutions to Start Key Contract. 1 March 2016 – Protest Denied in Arnold Engineering Development Complex (AEDC) Contract Dispute. 25 February 2016 – nLogic Participates in the Inaugural Meeting of the Community Foundation of Huntsville/Madison County Corporate Giving Network (CGN). 19 February 2016 – U.S. Army Space and Missile Defense Command/Army Forces Strategic Command (USASMDC/ARSTRAT) Awards Design, Development, Demonstration and Integration (D3I) Domain 2 Contract. 18 February 2016 – Huntsville Companies Named U.S. Chamber of Commerce Small Business Award Winners. 17 February 2016 – 6 Alabama Companies Win U.S. Chamber’s 2016 Blue Ribbon Awards. 17 February 2016 – Air Force Vet Sees Lasting Camaraderie with Battle Buddies. 17 February 2016 – Six Alabama Companies Score Award from U.S. Chamber of Commerce. 4 February 2016 – nLogic Recognized as 2015 Boeing Gold Level Supplier with Performance Excellence Award – Eight Straight Year for Award. 28 January 2016 – Ground-based Midcourse Defense (GMD) System Conducts Successful Controlled Test Vehicle-02+ (CTV-02+) Flight Test. 28 January 2016 – nLogic Serves as Gold Sponsor for Huntsville/Madison County Chamber of Commerce Geek2Geek Event. 14 January 2016 – nLogic Nominated by the Huntsville/Madison County Chamber of Commerce to Participate in the DREAM BIG Small Business of the Year Award at the America’s Small Business Summit 2016 as Hosted by the U.S. Chamber of Commerce. 25 December 2015 – nLogic Sponsors Huntsville Botanical Garden Galaxy of Lights. 18 December 2015 – U.S. Army Space and Missile Defense Command/Army Forces Strategic Command (USASMDC/ARSTRAT) Awards Design, Development, Demonstration and Integration (D3I) Domain 3 Contract. 15 December 2015 – nLogic Achieves Certification for National Institute of Standards and Technology (NIST) Special Publication 800-171. 8 December 2015 – nLogic Chief Executive Officer Elected to Serve on the North Alabama Better Business Bureau (BBB) Board of Directors. 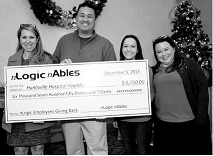 5 December 2015 – nLogic nAbles Selects Huntsville Hospital Foundation for a Grant to the Hospice Center. 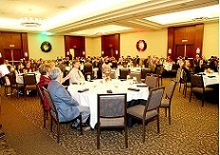 5 December 2015 – nLogic Employees and Their Families Celebrate the 2015 Holiday Party at Westin Hotel. 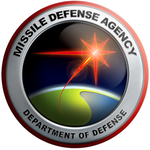 4 December 2015 – Missile Defense Agency (MDA) Extends Ground-based Midcourse Defense (GMD) Development and Sustainment Contract (DSC) for Re-designed Kill Vehicle (RKV) Development. 18 November 2015 – nLogic Passes the Better Business Bureau Marketplaces Ethics Torch Award to Torch Technologies. 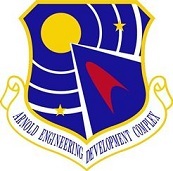 18 November 2015 – Arnold Engineering Development Complex (AEDC) Awards the Test Operations and Sustainment (TOS) Contract. 17 November 2015 – Army Shoots Down Missile using Integrated Air and Missile Defense (IAMD) Battle Command System (IBCS). 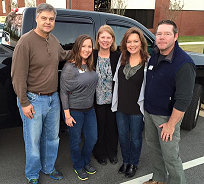 16 November 2015 – nLogic Contributes Funds to Manna House for Thanksgiving with Leadership Huntsville Service Group. 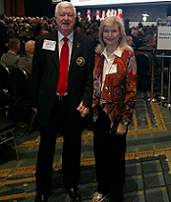 29 October 2015 – nLogic Participates in the 26th Annual Dr. Wernher von Braun Memorial Dinner Hosted by National Space Club. 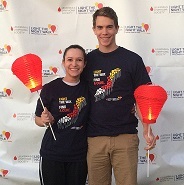 29 October 2015 – nLogic Participates in the Leukemia and Lymphoma Society “Light the Night Walk” Event. 21-23 October 2015 – nLogic Recognized for Sixth Year at the Inc. Magazine Fastest Growing Companies in America Conference. 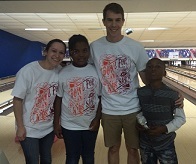 17 October 2015 – nLogic Participates in the Big Brothers Big Sisters of North Alabama “Bowl for Kids’ Sake” Event. 16 October – Joe Paschall Named as Project Management Institute (PMI) Region Mentor for Region 14 Which Consists of 24 Chapters and 15,000 Members. 15 October 2015 – Inc. 5000 Ranked 19 Local Companies on 2015 Fastest Growing Companies in America List. 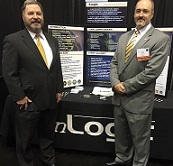 12-14 October 2015 – nLogic Participates in 2015 Fall AUSA Annual Meeting and Exposition Which Consists of Informative Presentations and Panel Discussions on Pertinent Military and National Security Subjects. 28 September 2015 – nLogic Sponsors Team in Harris Home for Children 2nd Annual Golf Tournament at Valley Hill Country Club. 24 September 2015 – nLogic Chief Executive Officer Co-Hosts Honorable John P. Carlin, Assistant Attorney General for National Security, at Huntsville/Madison County Chamber of Commerce. 24 September 2015 – nLogic Participates in Better Business Bureau of North Alabama Annual Integrity Golf Tournament at Burningtree Country Club in Decatur, AL. 17 September 2015 – nLogic Serves as Corporate Sponsor for Women Honoring Women (WHW) Celebration as Hosted by Women’s Economic Development Council (WEDC) Foundation. 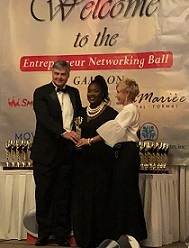 11 September 2015 – nLogic, 2014 Winner of Chamber of Commerce Small Business of the Year Award in the 51 to 250 Employee Category, Presents Award to the 2015 Winner, Project XYZ. 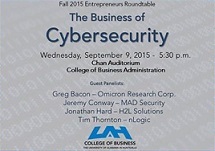 9 September 2015 – nLogic Chief Executive Officer Participates in the University of Alabama in Huntsville (UAH) College of Business Administration Entrepreneurs Roundtable: “The Business of Cybersecurity”. 21 August 2015 – Air Force Puts 22 Companies on $490M Agile Acquisition Contract. 20 August 2015 – nLogic Recognized for 6th Year on Inc. 5000 Fastest-Growing Private Companies List. 15 August – Channel 31 Features nLogic Booth at Space and Missile Defense Symposium on 6:00 pm Newscast. 14 August 2015 – Pentagon Investing Millions on ‘Multi-Object Kill Vehicle’ Anti-missile Program. 13 August 2015 – 51 Alabama Businesses among America’s 2015 Fastest-Growing Private Companies. 13 August 2015 – 17 Fastest-Growing Technology Companies in North Alabama. 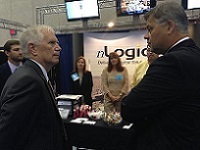 12 August 2015 – Congressman Mo Brooks, 5th District of Alabama, Visits nLogic Booth at Space and Missile Defense Symposium. 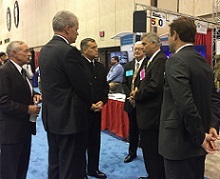 12 August 2015 – Vice Admiral James Syring, Director of Missile Defense Agency, and Major General Ole Knudson, Deputy Director of Missile Defense Agency, Visit nLogic Booth at Space and Missile Defense Symposium. 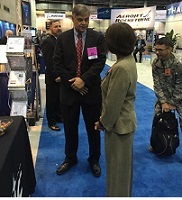 11 August 2015 – Honorable Heidi Shyu, United States Assistant Secretary of the Army for Acquisition, Logistics, and Technology, Assistant Secretary of the Army, Visits nLogic Booth at Space and Missile Defense Symposium. 10 August 2015 – nLogic Serves as Silver Sponsor for World War II Victory Day Celebration. 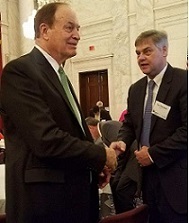 30 July 2015 – nLogic Participates in 10th Anniversary Luncheon Honoring Korean War Veterans. 30 July 2015 – nLogic Awarded General Services Administration (GSA) Professional Services Schedule (PSS) Prime Contract. 15 July 2015 – nLogic Sponsors Madison Academy Mustangs Football Program. 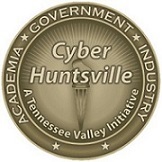 9 July 2015 – nLogic Chief Executive Officer Serves on Huntsville Association of Small Businesses in Advanced Technology (HASBAT) Board of Directors. 16 June 2015 – Dr. Joe Stuart, Certified Air Force Master Trainer, Conducts Training Course Entitled Curriculum and Instructional Design 101 for North Alabama Chapter of Association for Talent Development. 11 June 2015 – Bechtel-led Team Awarded Air Force Test Operations Complex Contract. 10 June 2015 – Bechtel-led Team Will Support Largest, Most Advanced Complex of Flight Simulation Facilities in the World. 10 June 2015 – Bechtel-led Team Awarded Air Force Test Operations Complex Contract. 6 June 2015 – nLogic nAbles 501(c)(3) Awards Grant to Community Free Dental Clinic. 2 June 2015 – Missile Defense Agency (MDA) Making Plans to Revive Multi-Object Kill Vehicle (MOKV) Initiative. 1 June 2015 – Army Tests New Missile Defense Brain, Navy and Missile Defense Agency Intrigued. 29 May 2015 – nLogic Serves as Bronze Sponsor for Veteran Empowerment Event to Support Veterans, Military Spouses and Transitioning Active Duty Service Members. 28 May 2015 – Northrop Grumman, US Army Achieve Ballistic Missile Intercept in Inaugural Flight Test – Next-generation Architecture Demonstrates Dramatic Change to Air and Missile Defense. 5 May 2015 – nLogic Nominated for and Served as Bronze Sponsor for 2015 Best Places to Work Hosted by Chamber of Commerce of Huntsville/Madison County. 1 May 2015 – nLogic Participates in Lyman Ward Military Academy (LWMA) Golf Tournament to Support Scholarship Program. 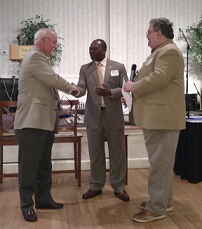 27 April 2015 – Mark McConkey Honored with Management Award from National Defense Industrial Association (NDIA) Tennessee Valley Chapter (TVC). 9 April 2015 – nLogic Sponsors Boy Scouts of America Greater Alabama Council Eagle Luncheon. 14 March 2015 – nLogic Participates in American Heart Association Heart Walk. 21 February 2015 – nLogic Receives 2014 Project Management Excellence Award from Project Management Institute (PMI) North Alabama Chapter (NAC). 17 February 2015 – Army Looks to ‘Transform the Force’ with Integrated Missile Defense. 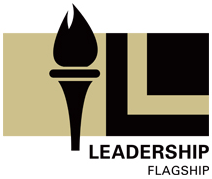 10 February 2015 – nLogic Sponsors Leadership Huntsville/Madison County Masters Leadership Class 6 Program Orientation Retreat. 2 February 2015 – President’s Budget Proposal: What it Means to the Valley. 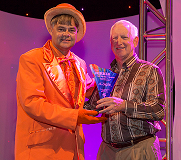 29 January 2015 – nLogic Receives the 2014 Boeing Performance Excellence Award – Seventh Straight Year for Award. 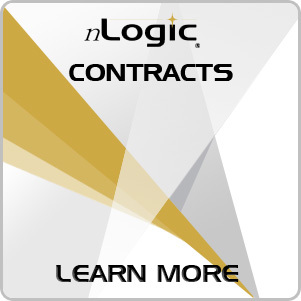 26 January 2015 – nLogic Featured by WAAY Channel 31 Television for Contract Win. 26 January 2015 – nLogic Moving Up in the World of Defense Contracting. 23 January 2015 – Defense Commissary Agency Awards Team nLogic and Harris Network Infrastructure Services Contract. 21 January 2015 – Defense Commissary Agency Awards Team nLogic and Harris Network Infrastructure Services Contract. 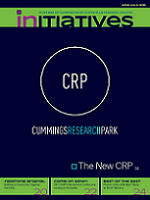 21 January 2015 – “Primed for Growth: nLogic” – Lowe Foundation Second-Stage Rock Stars. 14 January 2015 –nLogic to Deliver Network Communication Services to Defense Commissary Agency. 14 January 2015 – nLogic Nominated by the Huntsville/Madison County Chamber of Commerce to Participate in the DREAM BIG Small Business of the Year Award at the America’s Small Business Summit 2015 as Hosted by the U.S. Chamber of Commerce. 13 January 2015 – Harris, nLogic to Provide Defense Commissary Agency with Network Services. 13 January 2015 – nLogic Chief Executive Officer Serves on Air, Space and Missile Defense Association (ASMDA) 2015 Board of Directors. 12 January 2015 – nLogic Chief Executive Officer Serves on Huntsville/Madison County Chamber of Commerce 2015 Board of Directors. 12 January 2015 – Harris Corporation and nLogic Team to Provide Defense Commissary Agency with Network Communications Services. 12 January 2015 – nLogic Chief Executive Officer Serves on Huntsville Association of Small Businesses in Advanced Technology (HASBAT) 2015 Board of Directors. 5 January 2015 – Cubic to Support US Army Capability Integration Center. 2 January 2015 – Defense Commissary Agency Awards Team nLogic and Harris Network Infrastructure Services Contract. 25 December 2014 – nLogic Sponsors Huntsville Botanical Garden Galaxy of Lights. 23 December 2014 – Cubic Awarded a Share of $240 Million Contract to Support the U.S. Army Capability Integration Center. 15 December 2014 – nLogic Featured as Southern Business Leader in Forbes Magazine. 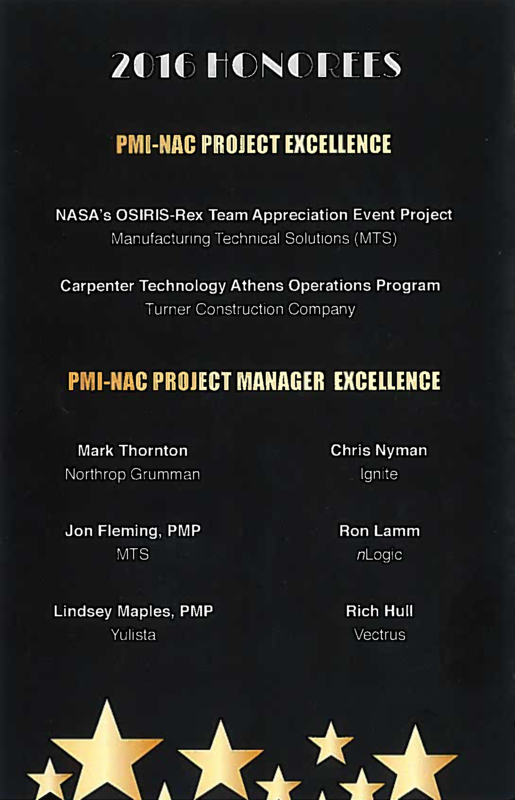 15 December 2014 – nLogic Leader Serves on Project Management Institute (PMI) North Alabama Chapter (NAC) Board of Directors. 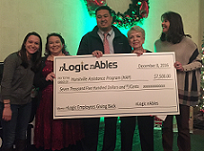 12 December 2014 – nLogic nAbles 501(c)(3) Awards Grant to Kids to Love. 12 December 2014 – nLogic Employees and Their Families Celebrate the 2014 Holiday Party at Westin Hotel. 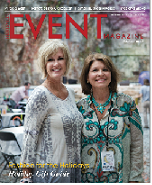 1 December 2014 – nLogic in the Spotlight of Huntsville/Madison County Chamber of Commerce Initiatives Magazine. 18 November 2014 – Local Businesses Honored at 17th Annual Better Business Bureau Torch Awards. 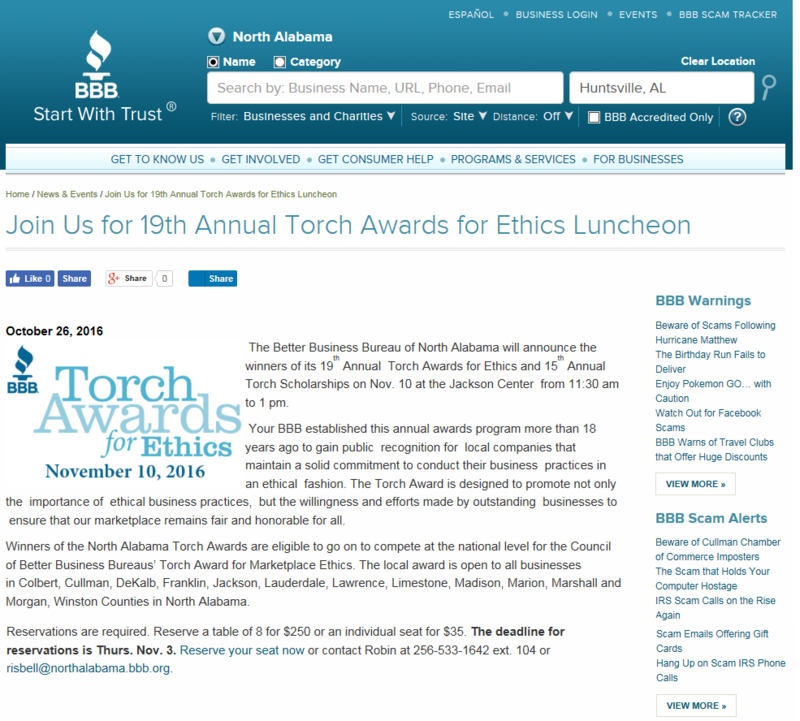 18 November 2014 – Better Business Bureau of North Alabama Presents Annual Torch Ethics Awards and Scholarships. 18 November 2014 – MDA Aims for 2020 Fielding of Redesigned Kill Vehicle. 18 November 2014 – nLogic Employees Celebrate Winning the Better Business Bureau 2014 Torch Award for Ethics in the Government Contracting Category. 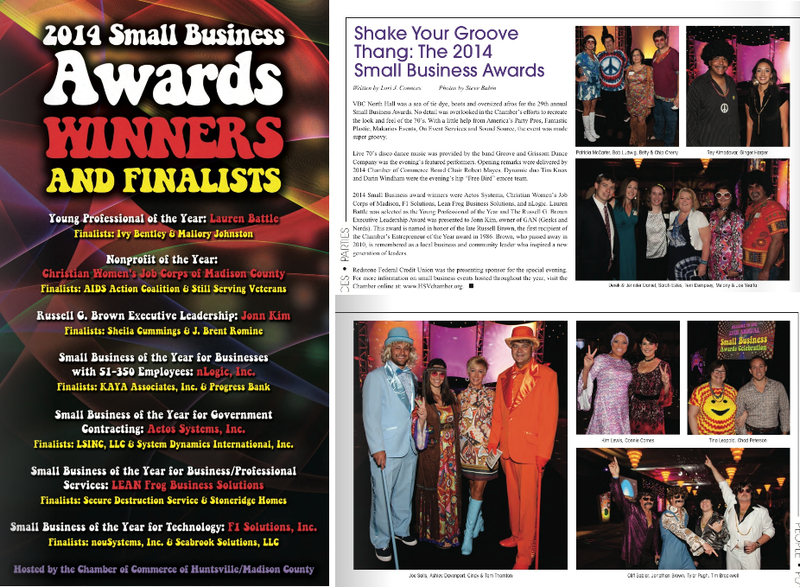 10 November 2014 – Shake Your Grove Thang: The 2014 Small Business Awards. 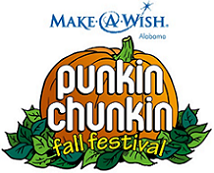 15 October 2014 – nLogic Featured on Chamber Radio with WTKI as Hosted by Fred Holland. 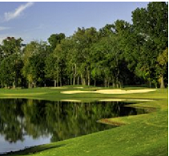 17 October 2014 – nLogic Sponsors Eighth Annual Ground-based Midcourse Defense (GMD) One Team Golf Outing at Canebrake Club. 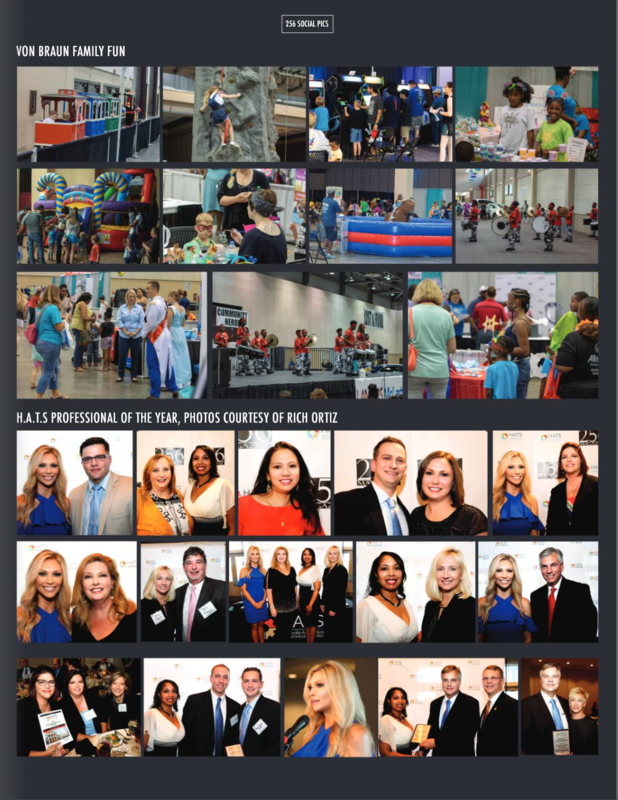 1 October 2014 – Chamber of Commerce Initiatives Magazine October 2014 – nLogic on the Inc. 5000 Fastest Growing Companies in America List. 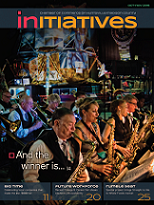 1 October 2014 – Chamber of Commerce Initiatives Magazine October 2014 – Winners Announced at the Grooviest Small Business Awards Ever. 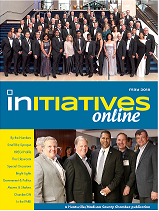 1 October 2014 – Chamber of Commerce Initiatives Magazine October 2014 – nLogic Opens New Cummings Research Park Headquarters. 29 September 2014 – Redesigned Kill Vehicle Will Have Roots in Standard Missile-3 Block 2B Interceptor. 26 September 2014 – Want to be an Entrepreneur? Check Out This Advice from 10 Huntsville Leaders Who’ve Been There. 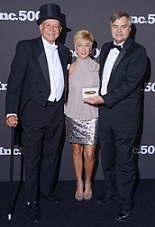 25 September 2014 – Two Current and Two Former Eastside Companies Named to 2014 Inc. 5000 List. 23 September 2014 – Suppliers Recognized Six Years Straight for Performance Excellence. 12 September 2014 – nLogic is Teammate with The Boeing Company on Department of Homeland Security (DHS) Enterprise Acquisition Gateway for Leading Edge Solutions (EAGLE) II Contract Win. 9 September 2014 – nLogic is Gold Sponsor for Manna House’s ‘Hope on Wheels’ Which Serves Huntsville Community. 5 September 2014 – nLogic Takes Honors at Huntsville Chamber Small Business Awards for 2014. 5 September 2014 – nLogic Audio from Small Business of the Year Event as Sponsored by Redstone Federal Credit Union. 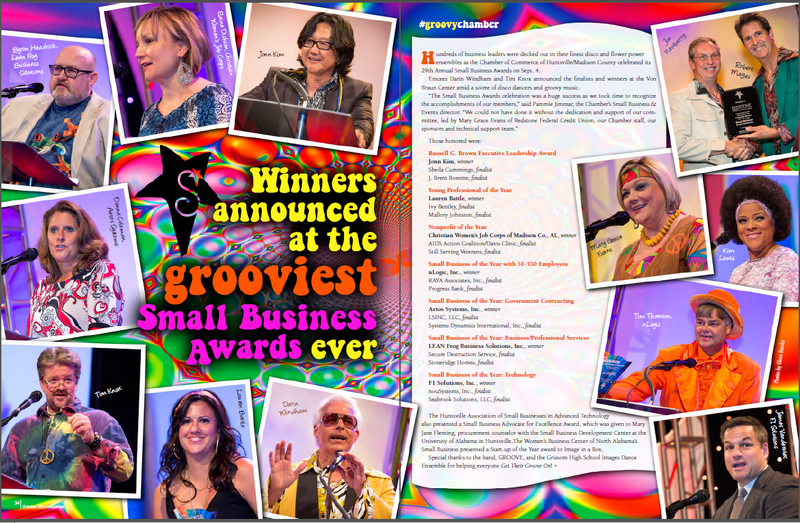 5 September 2014 – Winners Announced at Grooviest Small Business Awards Ever. 4 September 2014 – nLogic Wins Big at Huntsville Chamber’s Small Business Awards. 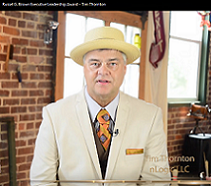 4 September 2014 – nLogic Small Business of the Year Video. 29 August 2014 – nLogic Featured on WAAY Television’s Technology Alabama Business Directory. 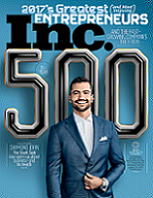 22 August 2014 – Now on the Inc. 5000 Fastest Growing Companies List. 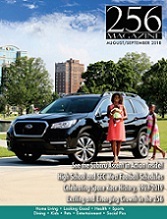 20 August 2014 – Alabama Businesses on Inc. 5000 Fastest-Growing Private Companies List. 18 August 2014 – nLogic Recognized for 5th Year on Inc. 5000 Fastest-Growing Private Companies List. 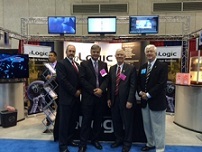 13 August 2014 – Congressman Mo Brooks Visits nLogic Booth at Space and Missile Defense Symposium. 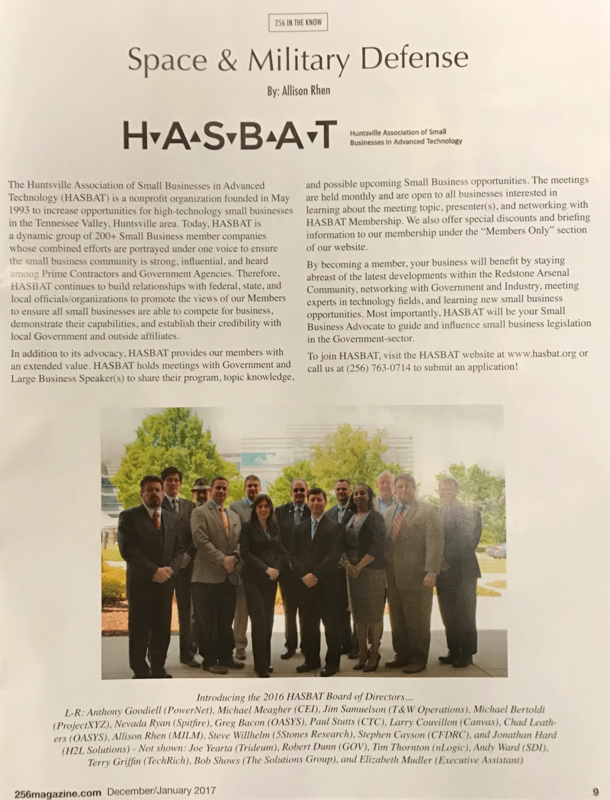 8 August 2014 – nLogic Participates on Board of Directors of Huntsville Association of Small Businesses in Advanced Technology (HASBAT). 4 August 2014 – nLogic Dedicates New Headquarters in Cummings Research Park. 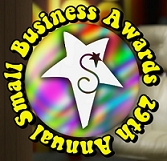 4 August 2014 – See 49 Contenders for Huntsville Chamber’s 29th-Annual Small Business Awards. 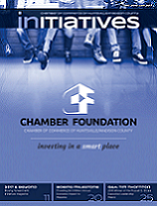 1 August 2014 – Huntsville/Madison County Chamber of Commerce Announces 2014 Small Business of the Year Contenders. 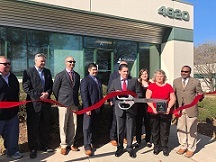 31 July 2014 – nLogic Ribbon Cutting and Open House Dedicating Their New Headquarters and Celebrating Their 5 Year Anniversary. 7 July 2014 – nLogic Relocates Headquarters to 4901 Corporate Drive, Suite H, Huntsville, AL 35805 in Cummings Research Park. 3 July 2014 – $2.8 Billion Boeing Contract Puts NASA One Step Closer to Sending Astronauts to Deep Space. 1 July 2014 – nLogic Sponsors Madison Academy Mustangs Football Program. 22 June 2014 – U.S. Conducts Successful Missile Intercept Test FTG-06b in Pacific. 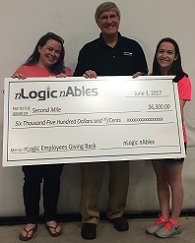 14 June 2014 – nLogic Employees Sponsor Summer Fun with United Cerebral Palsy Including Fun Fridays, Motor Camp, Sensory Camp, and Tech for Teens. 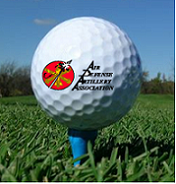 13 June 2014 – nLogic Participates in Tennessee Valley Chapter (TVC) Army Aviation Association of America (AAAA) 2014 Golf Tournament. 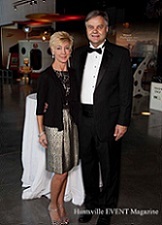 6 June 2014 – nLogic Participates in American Red Cross of North Central Alabama for the 11th Annual Red Cross Gala. 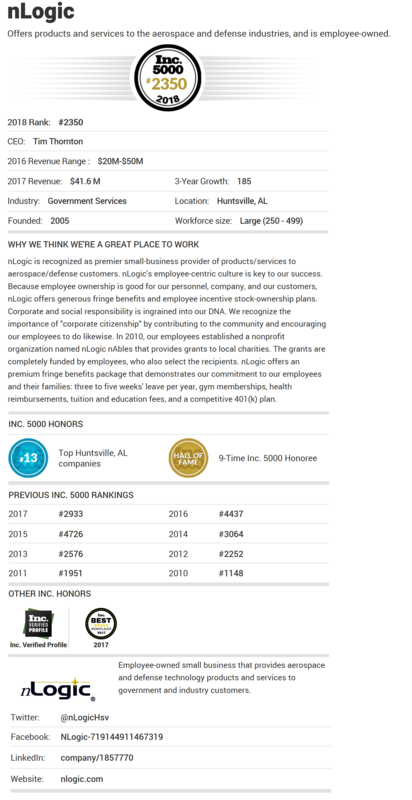 20 May 2014 – nLogic and Three Employees (Ashley Davenport, Sharon Johnson, & Patti Prince) Nominated for Chamber of Commerce of Huntsville/Madison County 2014 Best Places to Work. 10 May 2014 – nLogic nAbles 501(c)(3) Awards Grant to Manna House to Feed the Hungry and Clothe Those in Need. 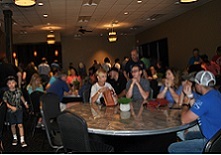 10 May 2014 – nLogic Employees and Their Families Celebrate the 2014 Spring Picnic at the U.S. Space and Rocket Center. 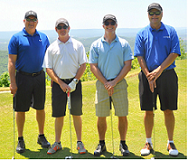 5 May 2014 – nLogic Participates in 2014 Huntsville/Madison County Chamber of Commerce Golf Classic at The Ledges. 2 May 2014 – nLogic Participates in 3rd Annual Lyman Ward Military Academy Golf Tournament to Fund Scholarships for Current Cadets and Enrollees. 25 April 2014 – nLogic Participates in 3rd Annual Empowering Our Veterans Event for Entrepreneurship & Employment to Assist Veterans, Transitioning Active-Duty Service Members & Military Spouses. 18 April 2014 – Boeing Honors Suppliers for Exceptional Performance. 17 April 2014 – nLogic Participates in Redstone Arsenal Community Women’s Club Pineapple Open Charity Golf Tournament for Educational Scholarships. 5 April 2014 – nLogic Sponsored Team Finished 4th Place Out of 33 Teams in the Bob Vlasic Spring Bass Tournament Hosted by the Army Aviation Association of America. 25 March 2014 – Integrated Air and Missile Defense (IAMD) Battle Command System (IBCS) Integrated Air Picture Capability Demonstration Presented to Defense Department Officials at Pentagon on March 18-19. 8 March 2014 – nLogic Employees and Friends Participate in American Heart Association 2014 North Alabama Heart Walk. 3 March 2014 – nLogic Announced as Patron for 7th Annual Space & Missile Defense Symposium. 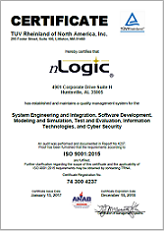 27 February 2014 – nLogic Achieves AS9100 Compliance with Quality Management System for the Aerospace Industry. 25 February 2014 – nLogic’s Program Director, Mark McConkey, Honored at Project Management Institute Awards Dinner. 8 February 2014 – Mark McConkey Recognized by the Project Management Institute North Alabama Chapter for the 2013 Project Manager Excellence Award. 4 February 2014 – nLogic Sponsors Cargo Bass Club for Military, Veterans, Civilians, and Contractors Supporting Redstone Arsenal. 17 January 2014 – nLogic Receives Gold Boeing Performance Excellence Award. 16 January 2014 – Space Launch System (SLS) Avionics System Sees the First Light. 16 January 2014 – Outgoing Chamber Chair Highlights Business Development, Job Growth in Madison County. 9 January 2014 – NASA Powers Up State-of-the-Art Space Launch System Software Avionics – nLogic Runs an Avionics Flight Simulation to See How SLS Will Perform during Launch. 7 January 2014 – Objective Simulation Framework (OSF) Program Receives Air, Space and Missile Defense Association (ASMDA) Technical Achievement Team Award. 6 January 2014 – nLogic Recognized as 2013 Boeing Gold Level Supplier with Performance Excellence Award – Sixth Straight Year for Award. 25 December 2013 – nLogic Sponsors Huntsville Botanical Garden Galaxy of Lights. 17 December 2013 – Small Business Administration Approves LinLogic 8(a) Joint Venture between LinTech Global and nLogic. 14 December 2013 – Five Madison County Companies Named to Inc. Magazine’s “Top Job Creators” Alabama List. 12 December 2013 – nLogic Employees and Their Families Celebrate the 2013 Holiday Party at Botanical Gardens. 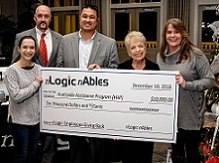 12 December 2013 – nLogic nAbles 501(c)(3) Awards Grant to United Cerebral Palsy. 10 December 2013 – DOD Taps Lockheed, Raytheon, Boeing for Initial Common Kill Vehicle Design Efforts. 1 December 2013 – nLogic Recognized as Alabama Top Job Creator in Huntsville/Madison County Chamber of Commerce Initiatives Magazine. 26 November 2013 – nLogic Participates in Successful U.S. Army Integrated Air and Missile Defense Demonstration. 22 November 2013 – Better Business Bureau of North Alabama Presents Torch Ethics Awards and Scholarships. 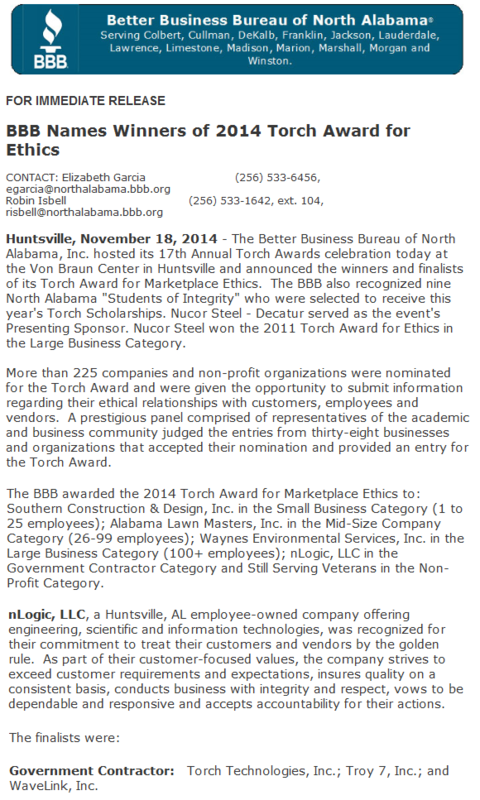 20 November 2013 – nLogic is Finalist for Better Business Bureau of North Alabama 2013 Torch Award for Marketplace Ethics. 20 November 2013 – Better Business Bureau of North Alabama Presents Torch Ethics Awards and Scholarships. 16 November 2013 – nLogic Sponsors Seventh Annual Ground-based Midcourse Defense (GMD) One Team Golf Outing at Canebrake Club. 13 November 2013 – nLogic Plays Key Role in Missile Defense Demo that Delivers Snapshot of Capabilities. 13 November 2013 – nLogic Attends Botanical Gardens Galaxy of Lights VIP Night. 13 November 2013 – Four Local Companies “Top Job Creators”. 11 November 2013 – nLogic Employees Participate in 2013 Veterans Day Breakfast to Honor Soldiers. 5 November 2013 – nLogic Sponsors Huntsville Association of Energy Engineers Ribbon Cutting Ceremony. 31 October 2013 – Meet Alabama’s Top Job Creators. 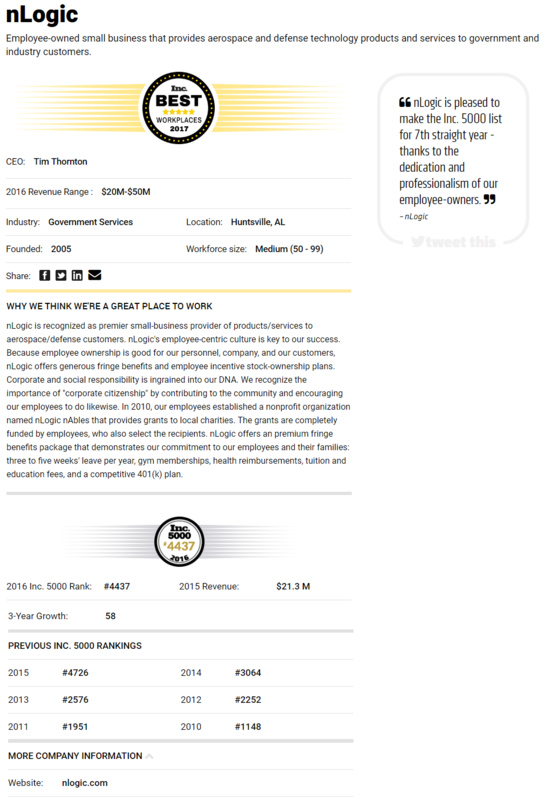 30 October 2013 – Four Huntsville Companies among Inc. Magazine’s Top Alabama Job Creators over Past 18 Months. 28 October 2013 – nLogic Ranked 8th in State of Alabama with Hire Power Award for Second Year in Row for Creating American Jobs. 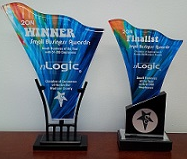 12 October 2013 – nLogic Receives Award as One of the Fastest-Growing Private Companies in America. 12 October 2013 – nLogic-Sponsored Team Finishes in 4th Place Out of 28 Boats in the Bob Vlasic Fall Bass Tournament Organized by the Army Aviation Association of America (AAAA). 10-12 October 2013 – nLogic Participates in the Inc. Magazine Fastest-Growing Private Companies in America Conference. 1 October 2013 – nLogic Recognized as Local Company on Inc. Fastest Growing Companies in America List in Huntsville/Madison County Chamber of Commerce Initiatives Magazine. 27 September 2013 – nLogic Recognized for Small Business Innovative Research (SBIR) Accomplishments by Alabama Governor Robert Bentley at the Alabama Launchpad Innovation and Entrepreneurship Conference. 26-27 September 2013 – nLogic Attends the Alabama Launchpad Innovation and Entrepreneurship Conference Hosted by Economic Development Partnership of Alabama (EDPA). 24 September 2013 – Open Architecture Battle Management Enables Direct Command and Control of Interceptors to Increase Capability while Reducing Costs. 23 September 2013 – nLogic Recognized for Participation with Incorporation of Patriot and Sentinel Capabilities into Integrated Air and Missile Defense Battle Command System. 16 September 2013 – nLogic Participates in the NAITA 30th Anniversary BB&T Pearl Scholarship Golf Tournament to Support the International Business Education Scholarship. 13 September 2013 – nLogic Recognized as Top Companies in Alabama by Inc. Magazine. 12 September 2013 – nLogic Participates in Chamber of Commerce of Huntsville/Madison County’s Small Business Awards Celebration at the Von Braun Center. 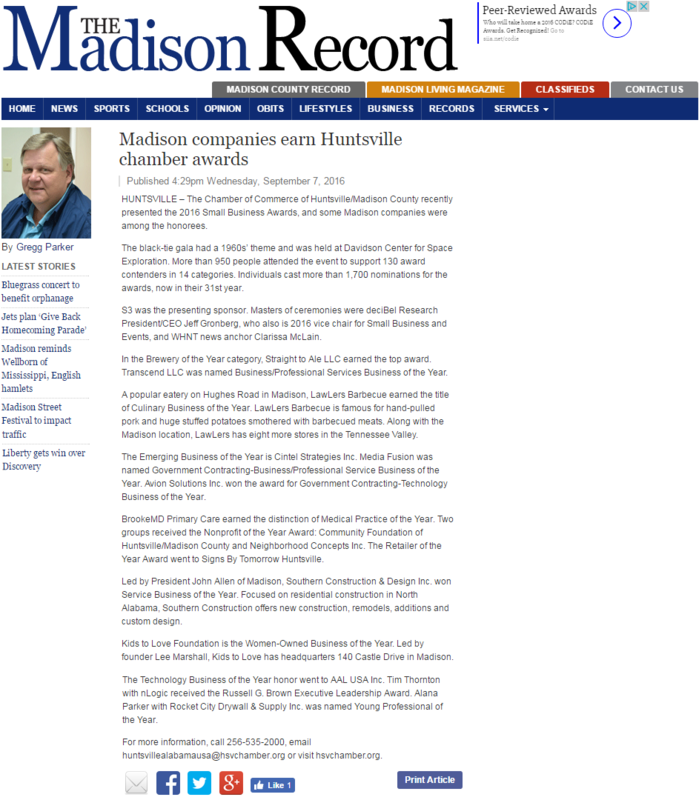 12 September 2013 – nLogic Team Participates as Contender for Huntsville/Madison County Chamber of Commerce 2013 Small Business of the Year in the Small Businesses with 51-350 Employees Category. 5 September 2013 – Integrated Air Missile and Defense (IAMD) Battle Command System (IBCS) Team Celebrates Successful Delivery of V2.1 Software and Major End Items – COL Robert Rasch (IAMD PM), Mark Weir (nLogic IBCS Product Champion), John Parrish (Northrop Grumman IBCS Program Director), and Drew Schott (nLogic IBCS Hardware Test). 30 August 2013 – 19 Huntsville, Madison County Companies Ranked on 2013 Inc. 500/5000 List. 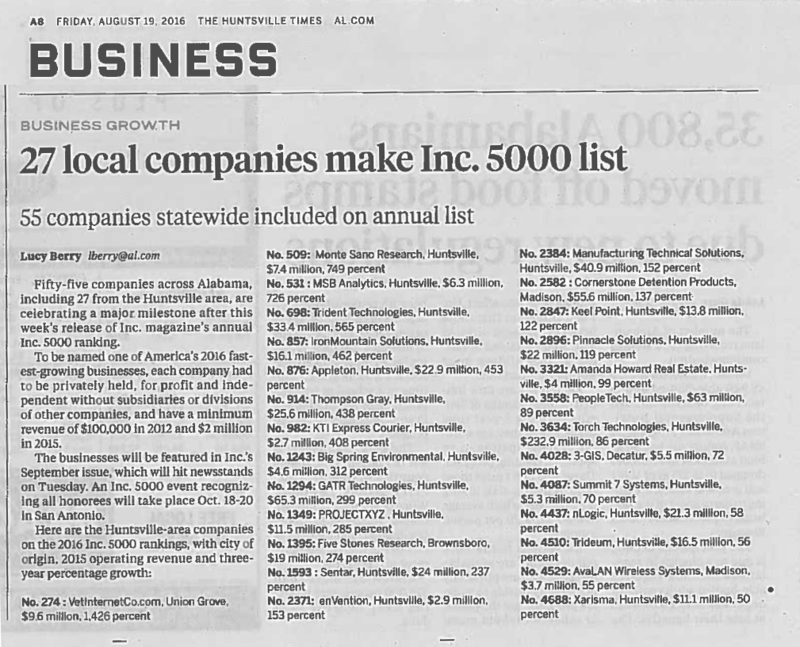 29 August 2013 – 20 Local Companies on Inc. 5000 Fastest Growing List. 13 August 2013 – Fourth Year in Row nLogic Earns Position on Inc. Magazine Annual Ranking of the Fastest-growing Private Companies in America. 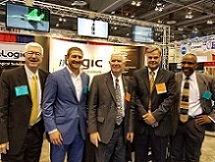 12-15 August 2013 – Congressman Mike Rogers Visits nLogic Booth at 2013 Space and Missile Defense Symposium. 26 July 2013 – nLogic Participates in AUSA Iron Mike Golf Tournament at Redstone Arsenal. 15 July 2013 – Huntsville/Madison County, Alabama –Aerospace/Defense Industry Profile – America’s Center for Aerospace Excellence. 1 July 2013 – nLogic Sponsors Madison Academy Mustangs Football Program. 25 June 2013 – nLogic Participates as Silver Sponsor for the Huntsville Association of Technical Societies (HATS) Professional of the Year Awards Banquet. 14 June 2013 – nLogic Participates in Participates in the 2013 Army Aviation Association of America (AAAA) Tennessee Valley Chapter (TVC) Golf Tournament. 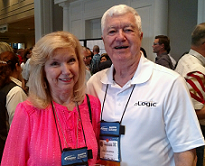 13 June 2013 – nLogic Hosts a Reception at The Westin Hotel Acknowledging the Dedication & Accomplishment of our Employees and Showing our Appreciation to our Customers. 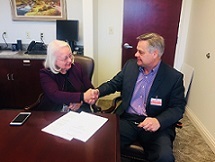 1 June 2013 – North Alabama International Trade Association (NAITA) and Von Braun Center for Science and Innovation (VCSI) Share the Capabilities of nLogic as a Member of the Huntsville Advanced Defense Technology Cluster Initiative. 31 May 2013 – nLogic Participates in the American Institute of Aeronautics & Astronautics (AIAA) Greater Huntsville Section 61st Annual Awards Dinner Honoring NASA Jet Propulsion Lab Lead for the Mars Curiosity Rover Entry, Descent, and Landing (EDL). 1 May 2013 – The Principal Financial Releases the Best Practices for the 10 Best Companies. 29 April 2013 – nLogic Participates in the 6th Annual American Heart Association Golf Tournament at The Ledges. 28 April 2013 – Missile Defense: Next Steps for the USA’s Ground-based Midcourse Defense. 20 April 2013 – nLogic Participates in 4th Annual Spring Swing to Benefit the Greengate School Tuition Assistance Fund. 20 April 2013 – nLogic Employees and Their Families Celebrate the 2013 Spring Picnic at Monte Sano State Park. 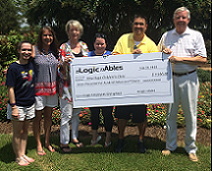 20 April 2013 – nLogic n Ables 501(c)(3) Awards Grant to Harris for Home for Children. 17-18 April 2013 – nLogic Participates in 2013 Boeing Global Supplier Conference – Received Boeing Supplier Performance Excellence Award for Fifth Straight Year and Nominated for Supplier of Year for Second Year in Row. 8 April 2013 – nLogic Participated in 2013 Huntsville/Madison County Chamber of Commerce Golf Classic at The Ledges. 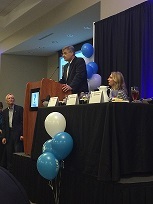 8 April 2013 – nLogic Sponsored 2013 10th Annual Madison County Eagle Luncheon at the Von Braun Center. 15 March 2013 – Boeing Statement on Changes to US Missile Defense Capability. 4 March 2013 – NASA Selects MSFC Contractors for Engineering Solutions and Prototyping. 4 March 2013 – nLogic Ranked #33 by DiversityBusiness.com for 2013 Top Emerging Businesses in the U.S.
15 February 2013 – Integrated Air and Missile Defense Battle Command System (IBCS) Enables Critical Systems, Improves Battle Management Decisions, and Support Army Transformation. 29 January 2013 – nLogic Receives Gold Boeing Performance Excellence Award. 26 January 2013 – Boeing Completes Successful Flight Test CTV-01 for Ground-based Midcourse Defense System. 8 January 2013 – Nine Huntsville Companies Share $997 Million U.S. Army Space and Missile Defense Command (SMDC) Systems Engineering and Technical Assistance Contract (SETAC). 4 January 2013 – Boeing Recognizes nLogic as Gold Supplier Boeing Performance Excellence Award Recipient for 2012. 25 December 2012 – nLogic Sponsors Huntsville Botanical Garden Galaxy of Lights. 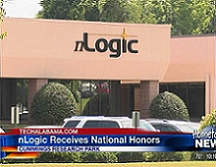 20 December 2012 – nLogic Recognized in Welcome Home to Madison County – “The Alabama Oasis”. 14 December 2012 – Five Madison County Companies Named to Inc. Magazine’s “Top Job Creators” Alabama List. 14 December 2012 – nLogic Receives 2012 Supplier Excellence Award from Northrop Grumman. 13 December 2012 – nLogic Ranks #10 in Alabama for Job Creation over the Past Three Years. 12 December 2012 – Version 2.0 of U.S. Army’s Battle Command System Software Released. 6 December 2012 – nLogic Employees and Their Families Celebrate the 2012 Holiday Party at Sci-Quest. 6 December 2012 – nLogic nAbles 501(c)(3) Awards Grant to Greengate School. 3 December 2012 – nLogic Recognized by Inc. Magazine and Bank of America for 2012 Hire Power Award. 15 November 2012 – Better Business Bureau of North Alabama Names 2012 Torch Awards for Marketplace Ethics. 15 November 2012 – nLogic is 2012 Finalist, Better Business Bureau of North Alabama’s Torch Award for Marketplace Ethics. 10 November 2012 – nLogic Listed in Inc. Magazine for 10 Best Places Award. 15 October 2012 – nLogic Listed in Fast Company Magazine for Employee Financial Security and Health Benefits Program Award. 5 October 2012 – nLogic Listed in Inc. Magazine for Great Employee Benefits. 1 October 2012 – nLogic Listed in Build Magazine for Top 10 Employers Offer Financial Security and Health Benefits Award. 1 October 2012 – Inc. 5000 Companies (2011 Rank). 1 October 2012 – nLogic Named in the ‘Principal® 10’ for Great Employee Benefits. 20 September 2012 – nLogic nAbles Selects Huntsville Hospital Foundation for a Grant to the Dr. Frank Crim Compassion Fund for Children with Cancer. 14 September 2012 – nLogic Recognized as Top Job Creator by Inc. Magazine. 14 September 2012 – Huntsville-based nLogic Honored by Principal Financial. 10 September 2012 – nLogic Listed in Time Magazine for Employee Benefits Program Leading to Financial Security. 28 August 2012 – nLogic Earned Position of #21 in State of Alabama and #2252 in the Nation on the 2012 Inc. 5000 Annual Ranking of the Fastest-growing Private Companies in America. 26 August 2012 – Nineteen Huntsville-based Companies Named to 2012 Inc. 500/5000. 21 August 2012 – nLogic Listed in Wall Street Journal for 10 Best Places Award. 21 August 2012 – nLogic Recognized by Principal Financial Group for 10 Best Companies Award for 2012. 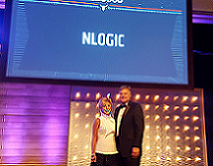 18 August 2012 – nLogic Sponsors American Cancer Society a Summer Lights Celebration Gala. 13-16 August 2012 – nLogic Participates as a Silver Sponsor at the 15th Annual 2012 Space and Missile Defense Conference. 1 July 2012 – nLogic Sponsors Madison Academy Mustangs Football Program. 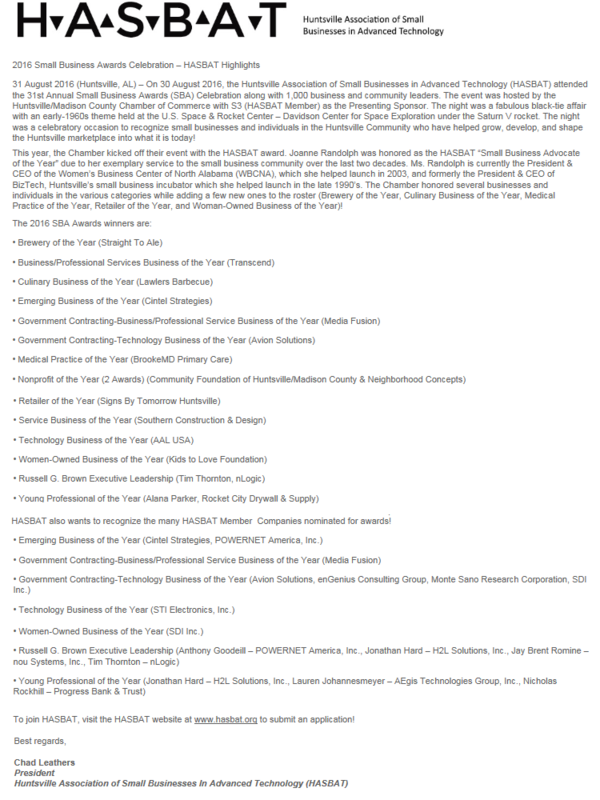 25 June 2012 – nLogic Nominated for Huntsville/Madison County Chamber of Commerce 2012 Small Business of the Year. 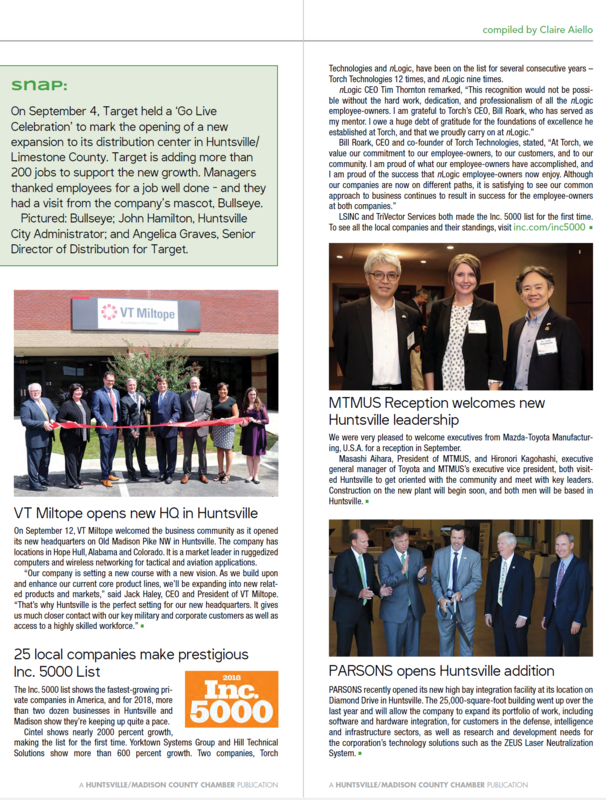 15 June 2012 – nLogic Highlighted in North Alabama International Trade Association (NAITA) Article in Who’s Who in Huntsville Technology Magazine. 12 June 2012 – Northrop Grumman Corporation Successfully Completes Key Milestone for the U.S. Army’s Integrated Air and Missile Defense (IAMD) Battle Command System (IBCS). 11 June 2012 – IBCS Passed Critical Design Review. 1 June 2012 – nLogic Supports Alabama A&M 12th Annual Black Tie Scholarship Gala. 1 June 2012 – nLogic-Managed Capability Receives Technical Team Award from Missile Defense Agency (MDA) Ground-based Midcourse Defense (GMD) Program Director. 8-9 May 2012 – nLogic Sponsors the National Defense Industrial Association (NDIA) and Missile Defense Agency (MDA) 2012 Annual Missile Defense Small Business Programs and Small Business Innovative Research (SBIR)/ Small Business Technology Transfer (STTR ) Programs Conference. 1 May 2012 – Department of Defense (DoD) Association for Enterprise Information (AFEI) Announce Winners of the 5th DoD Enterprise Architecture Achievement (DEAA) Awards Program. 18 April 2012 – nLogic Participates in 2011 Boeing Supplier of the Year Event in Chicago, IL. 11 April 2012 – nLogic is Silver Sponsor for 2012 Eagle Scout Luncheon. 5 April 2012 – nLogic nAbles 501(c)(3) Awards Grant to Still Serving Veterans. 28 March 2012 – nLogic Included in the C2/C4ISR Systems Market Research Report for 2012-2022. 1 February 2012 – nLogic Wins Small Business Innovative Research (SBIR) Contract Entitled “Passive Techniques for Flight Reconstruction Data”. 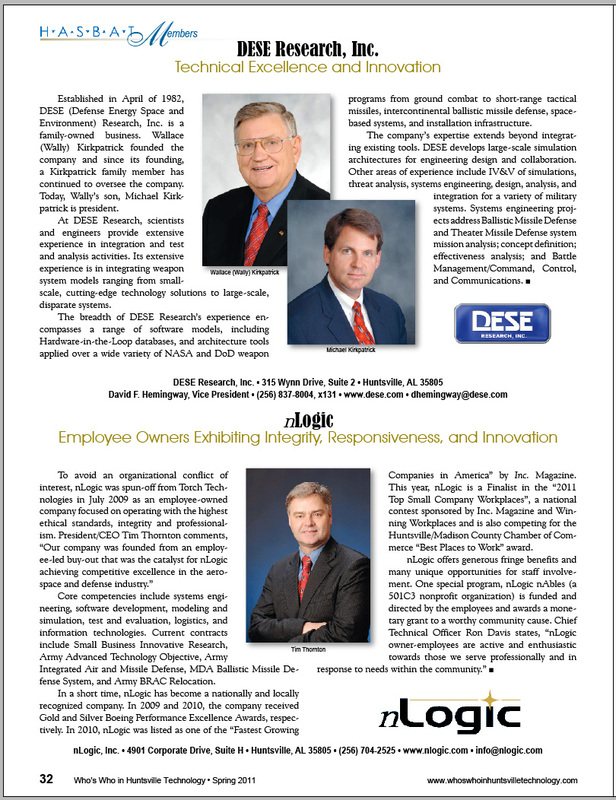 12 January 2012 – Huntsville-based DESE Research, nLogic Receive Boeing Awards. 9 January 2012 – Boeing Recognizes nLogic as Gold Supplier Boeing Performance Excellence Award Recipient for 2011. 2 January 2012 – Defense: Next Steps for the USA’s GMD. 1 January 2012 – Boeing Holds On To Ground-based Midcourse Defense. 30 December 2011 – Boeing Wins $3.48 Billion Missile Defense Agency Contract for Development and Sustainment of GMD System. 8 December 2011 – nLogic Employees and Their Families Celebrate the 2011 Holiday Party at Huntsville Botanical Garden. 23 November 2011 – Boeing-Northrop Team Submit Final Proposal for Ground-based Midcourse Defense Contract. 3 October 2011 – Harris Opens Huntsville Office to be Closer to its Customer at Redstone Arsenal. 1 October 2011 – Madison County Leads State in Number of Inc. 500/5000 Companies. 18 September 2011 – nLogic-Sponsored Team Wins 4th Place in the 5th Annual Boeing-Hosted Ground-based Midcourse Defense (GMD) Golf Tournament. 17 September 2011 – Ashley Davenport Selected as National Association of Professional Women VIP Division as 2011 to 2012 Professional Woman of the Year. 17 September 2011 – nLogic Ranks on the 2011 Inc. 500/5000 with Three-Year Sales Growth of 131%. 16-17 September 2011 – nLogic-Sponsored Team Wins 1st Place in Bob Vlasics Army Aviation Association of America (Quad-A) Bass Fishing Tournament. 9 September 2011 – nLogic Earned Position of 1951 on the 2011 Inc. 5000 Annual Ranking of the Fastest-growing Private Companies in America. 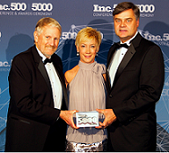 1 September 2011 – nLogic Recognized as Top Companies in Alabama on the Inc. 5000. 31 August 2011 – Teledyne Awarded $595 Million Missile Defense Agency Objective Simulation Framework (OSF) Contract. 31 August 2011 – Huntsville-based Teledyne Brown Engineering Awarded Missile Defense Agency Contract. 21 August 2011 – LTG O’Reilly Missile Defense Agency Update. 15-18 August 2011 – nLogic Hosts Booth at 14th Annual 2011 Space and Missile Defense Conference. 20-21 July 2011 – nLogic Sponsors the National Defense Industrial Association (NDIA) and Missile Defense Agency (MDA) 2011 Annual Missile Defense Small Business Programs Conference. 20 July 2011 – U.S. Army Plans to Procure Battle Command System. 1 July 2011 – nLogic Sponsors Madison Academy Mustangs Football Program. 16 June 2011 – Gen. Dunwoody Thanks Community, Redstone Arsenal as Army Materiel Command Opens New Headquarters. 9 June 2011 – nLogic Hosts Booth at Cyber Security Summit with Information Systems Security Association (ISSA). 30 April 2011 – nLogic Employees and Their Families Celebrate the 2011 Spring Picnic at Monte Sano State Park. 28 April 2011 – nLogic nAbles 501(c)(3) Awards Grant to Hospice Family Care. 19 April 2011 – Charles Ornouski Inducted into the Honorable Order of Saint Barbara Which is a Military Honor Society for Both the U.S. Army and U.S. Marine Corps Artillery. 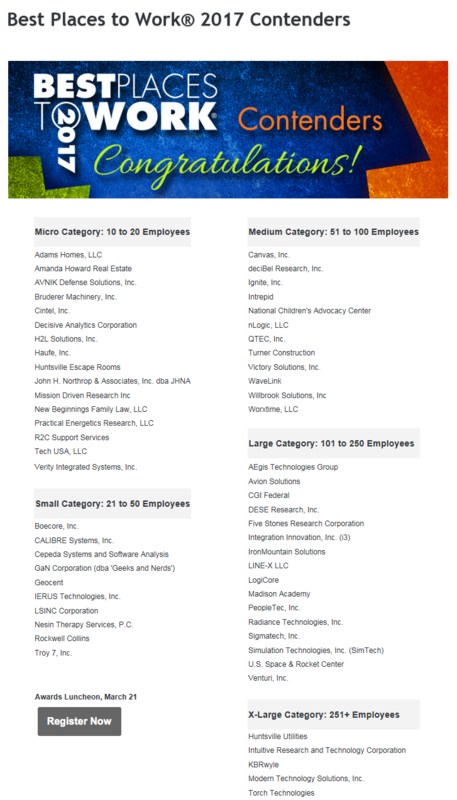 1 April 2011 – nLogic Recognized as 2011 Top Small Company Workplaces Finalist. 24 March 2011 – nLogic Sponsors 2011 Alabama A&M Scholarship Gala. 15 February 2011 – nLogic Highlighted in Small Business Article in Who’s Who in Huntsville Technology Magazine. 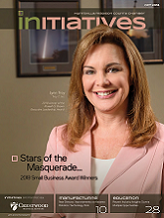 1 February 2011 – nLogic Selected as a Finalist for Winning Workplaces and Inc. Magazine’s 2011 Top Small Company Workplaces Award. 28 January 2011 – Boeing and Northrop Grumman Submit Proposal for Missile Defense Competitive Contract. 5 January 2011 – Boeing Recognizes nLogic as Silver Supplier Boeing Performance Excellence Award Recipient for 2010. 9 December 2010 – nLogic Employees and Their Families Celebrate the 2010 Holiday Party at Huntsville Botanical Garden. 17 November 2010 – Harris IT Awarded Contract for Army Materiel Command’s HQ on Redstone Arsenal. 15 November 2010 – Boost Infrastructure at Army’s Redstone Arsenal. 24 October 2010 – Fort Greely Missile Defense Bid Team Announced. 13 October 2010 – Boeing Names Huntsville, National Team Members in Bid for Missile Defense Contract. 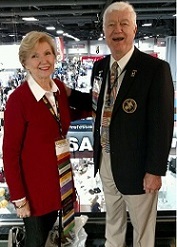 2 October 2010 – Huntsville, Alabama Companies Celebrate Award at Gaylord National Resort and Convention Center. 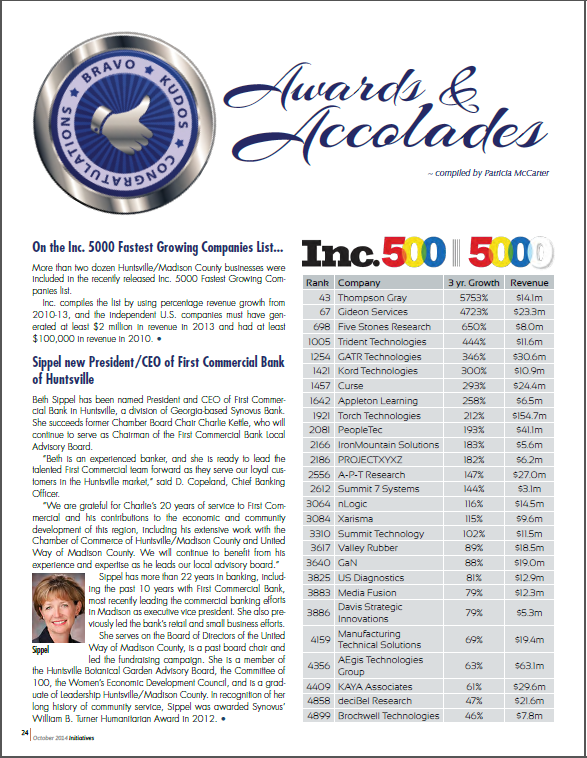 1 October 2010 – Madison County Leads State in Inc. Magazine 500/5000 List of Fastest Growing Companies in America. 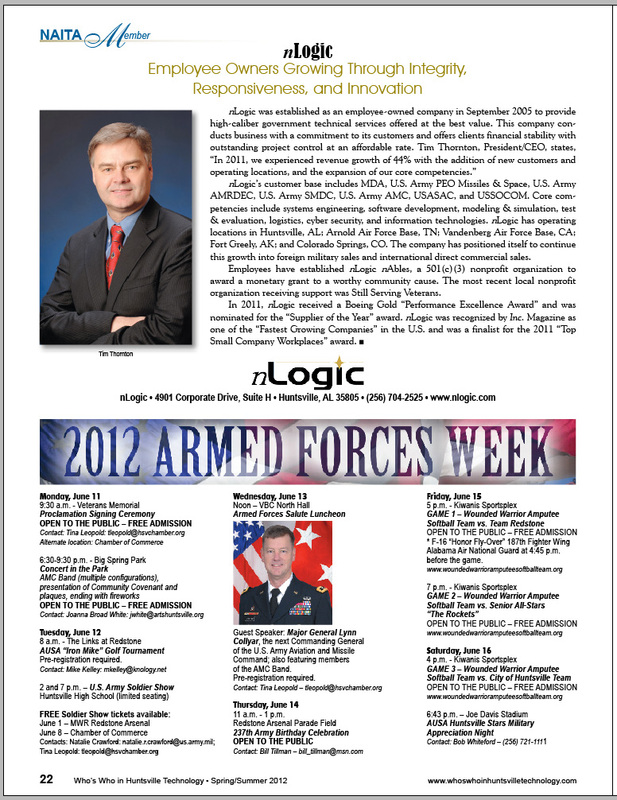 15 September 2010 – nLogic Recognized by Inc. Magazine as 2010 Fastest Growing Companies in the U.S..
24 August 2010 – nLogic Hosts Booth at 13th Annual 2010 Space and Missile Defense Conference. 23 August 2010 – nLogic Earned Position of 1148 on the 2010 Inc. 5000 Annual Ranking of the Fastest-growing Private Companies in America. 1 July 2010 – nLogic Sponsors Madison Academy Mustangs Football Program. 6 June 2010 – Boeing-led Missile Defense Team Completes 2-Stage Interceptor Booster Test. 1 June 2010 – America’s Missile Shield: 24/7 Protection of the Homeland. 27 May 2010 – nLogic Participates in the National Defense Industrial Association (NDIA) and Missile Defense Agency (MDA) 2010 Annual Missile Defense Small Business Programs Conference. 13 May 2010 – nLogic is Corporate Sponsor for the Association of the United States Army (AUSA) Soldiers’ Breakfast Commemorating 198th Anniversary of the US Army Ordnance Corps. 26 April 2010 – Northrop Grumman, U.S. Army Achieve Key Milestone for Integrated Air and Missile Defense Battle Command System. 26 April 2010 – All Together Now: Integrating the US Army’s Disparate Air and Missile Defenses. 23 April 2010 – Demonstration Test for Battle Command Capability that Integrates Various Weapons in a Joint Air and Missile Defense Capability. 10 April 2010 – nLogic Employees and Their Families Celebrate the 2010 Spring Picnic at Monte Sano State Park. 1 April 2010 – Huntsville/Madison County Aerospace and Defense Profile – America’s Center of Aerospace Excellence. 11 January 2010 – Boeing Recognizes nLogic as Gold Supplier Boeing Performance Excellence Award Recipient for 2009. 10 January 2010 – Northrop Grumman Wins $577 Million Army Integrated Battle Command System Contract. 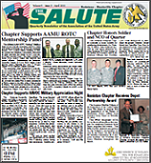 1 January 2010 – nLogic Acknowledged with Corporate Spotlight in the Redstone-Huntsville Chapter of the Association of the United States Army (AUSA) Salute Magazine. 10 December 2009 – nLogic Employees and Their Families Celebrate the 2009 Holiday Party at Santa’s Village. 3 October 2009 – nLogic-Sponsored Team Receives Trophy in the 3rd Annual Boeing-Hosted Ground-based Midcourse Defense (GMD) Golf Tournament. 25 August 2009 – nLogic Hosts Open House with Customers and Friends. 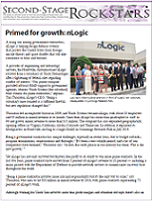 30 June 2009 – nLogic Opens in Huntsville, AL as Featured in Huntsville/Madison County Chamber of Commerce Initiatives Magazine. 30 June 2009 – nLogic Celebrates Founding of Company.